This hCalendar-compliant page is optimized for search engines. View this calendar as published at jobfairsin.com. RecruitMilitary has held 42 events in San Diego, drawing 15,524 attendees and 1,818 exhibitors. Sponsored / Hosted by: RecruitMilitary. City: Camp Pendleton. State: CA. Event Website: https://events.recruitmilitary.com/events/1155. Thursday, April 25, 2019. Pacific Views Event Center 202850 San Jacinto Road Camp Pendleton, CA 92055. RecruitMilitary has held 1 event in Salt Lake City, drawing 101 attendees and 45 exhibitors. Sponsored / Hosted by: RecruitMilitary. City: Layton. State: UT. Event Website: https://events.recruitmilitary.com/events/1160. Thursday, April 25, 2019. Davis Conference Center 1651 North 700 West Layton, UT 84041. RecruitMilitary has held 12 events in Minneapolis, drawing 2,195 attendees and 659 exhibitors. Sponsored / Hosted by: RecruitMilitary. City: Minneapolis. State: MN. Event Website: https://events.recruitmilitary.com/events/1154. Thursday, April 25, 2019. TCF Bank Stadium 420 SE 23rd Avenue Minneapolis, MN 55455. 800 Jobs to be filled at Manpower with 3 Day Hiring Event in April Manpower Hiring for Entry Level Production Based positions in Chino, Ca Chino, Ca (April 15, 2019) – Manpower will hold a 3 day hiring event on Tuesday 4/23/19-Wednesday 4/25/19 and Thursday 4/25/19 from 8am-7pm. This event will target filling entry level fulfillment and production based roles for one of the most popular subscription box companies across the country. Work location is in the Chino area with starting pay range of $14.00 to $15.50 per hour with benefits; Tuition reimbursement, online training with skill certification courses and other recognition programs. This is a brand new facility waiting to have its foundational crew established. Now’s the time to be a part of the next big distribution company in Southern California. Immediate start dates are available. ● What: Manpower 3 Day Hiring Event for Positions in Chino, California ● Where: Country Inn & Suites by Radisson, Ontario Mills – 4674 Ontario Mills Parkway.… City: Ontario. State: CA. Event Website: https://www.facebook.com/ManpowerChino. Thursday, April 25, 2019, 8:00 AM – 7:00 PM. Country Inn & Suites by Radisson, Ontario Mills 4674 Ontario Mill Parkway Ontario CA. Join us for our FREE job fair at Coachella Valley Rescue Mission in Indio, CA. Looking for a job? Look no further! Join us on Thursday, April 25, 2019, at Coachella Valley Rescue Mission for one of our legendary Job Fairs. This results-driven event is designed to get you in front of the top employers in your community. As a bonus, it's free for job seekers! We typically have 20-30 different employers at the job fairs. We let people into the event in smaller numbers so everyone can talk to the employers 1-on-1. We hope to see you there! Sponsored / Hosted by: JobsNow.org. City: Portland. State: OR. Event Website: http://jobsnow.org/. Thursday, April 25, 2019, 9:00 AM – 1:00 PM. Coachella Valley Rescue Mission 111 SW Columbia Street, Suite 1170 Portland OR 97201. Description Join us for our FREE job fair at Coachella Valley Rescue Mission in Indio, CA. Looking for a job? Look no further! Join us on Thursday, April 25, 2019, at Coachella Valley Rescue Mission for one of our legendary Job Fairs. This results-driven event is designed to get you in front of the top employers in your community. As a bonus, it's free for job seekers! We typically have 20-30 different employers at the job fairs. We let people into the event in smaller numbers so everyone can talk to the employers 1-on-1. We hope to see you there! FAQs What should I bring into the event? We recommend you bring multiple copies of your resume to hand out. How should I dress? We recommend you dress professionally. Think of the job fair as if you were attending an interview. You will be talking to many different companies who are looking to hire. Some companies may even want to interview you while at the event! How do I make a request for special accommodations? All of our locations are ADA accessible… Sponsored / Hosted by: JobsNow.Org. City: Indio, 92201. State: CA. Event Website: https://www.eventbrite.com/e/free-indio-job-fair-jobsnoworg-registration-54984053785. Thursday, April 25, 2019, 9:00 AM. Coachella Valley Rescue Mission 47470 Van Buren St. Indio, 92201, CA. Passionate, engaged and vibrant… it’s what connect us. If this describes you, then it’s time for you to join our team of: •	Healthcare Customer Service Representative - https://teletech.taleo.net/careersection/5/jobdetail.ftl?job=02C9J&src=JB-30101 TTEC invites you to be part of its passionate and well-spirited culture. We’ll train you to be subject matter expert in your field, which will make you fall in love with your job and become more confident as you work with your fellow world-class talents. Together, we celebrate everyone’s achievements, professional development, supporting our community, and making new friends – LIKE YOU. Join us for… JOB FAIR Thursday | April 25 | 9 AM to 3PM 2301 McCracken Blvd. Paducah, Kentucky, 42003 #ExperienceTTEC for yourself. Call us at 1866-796-5485 for questions. Apply online today at TTECJobs.com. Sponsored / Hosted by: TTEC. City: Paducah. State: KY. Event Website: https://teletech.taleo.net/careersection/5/jobdetail.ftl?job=02C9J&&src=JB-30101. Thursday, April 25, 2019, 9:00 AM. TTEC Paducah 4000 Shader Road Paducah KY. Hiring Event for Forum at Knightsbridge! • The Forum at Knightsbridge is a full-service retirement community offering independent living, assisted living and continuing care. As part of a national company called Five Star Senior Living, they are providing innovative, evidence-based approaches to health and wellness during retirement, and fine dining experiences. They have a stellar reputation in Central Ohio, as well as being an award-winning facility. • Representatives from the Forum will be at Employment For Seniors to conduct IMMEDIATE INTERVIEWS with people interested in hearing about their career opportunities. • Featured jobs – FT, PT or PRN - are in Clinical, Hospitality (food service, housekeeping), Security, Drivers and more. • To learn about the company's available jobs, review their website at: https://careers.fivestarseniorliving.com/jobsearch/#||||1|1|0 (hint: copy/paste the prior link to your browser). • Come and discover how this opportunity can be your next great job. • This event serves mature job seekers (50+) in Central Ohio. •… Sponsored / Hosted by: Employment For Seniors. City: Columbus. State: OH. Event Website: http://www.employseniors.org/. Thursday, April 25, 2019, 9:30 AM. Employment For Seniors 4300 E. Broad St. Columbus OH. Meet Philly's Top CEO's, Panel Discussions, and Professional Development Workshops. City: Philadelphia. State: PA. Event Website: http://aldianews.com/career-fair-2019. Event Location: Pennsylvania Convention Center - Philadelphia #1101. Thursday, April 25, 2019, 10:00 AM. Save the Date - Central Florida Job Fair at the Winter Haven Recreational & Cultural Center, April 25, 2019, 10am - 2pm. Central Florida Job Fairs offer educational, career resources and career options for the Central Florida area. Call today to learn more - 863-248-7537 X 8 or email juanita@centralfloridamediagroup.com Like us on Facebook - Polk Jobs https://www.facebook.com/jobs.polkcounty/. Sponsored / Hosted by: Central Florida Media Group. City: Winter Haven. State: FL. Event Website: https://centralfloridamediagroup.com/events/. Thursday, April 25, 2019, 10:00 AM – 2:00 PM. Winter Haven Recreational & Cultural Center 801 MLK Blvd NE Winter Haven FL 33881. For more info visit centralfloridamediagroup.com. ATTN: Job Seekers! 100s of Jobs are up for grabs at the Greeley, CO Job Fair on April 25th! Meet one-on-one with recruiters & hiring managers who are now hiring for IMMEDIATE OPENINGS! Available positions range from entry level to management, in multiple industries. When you attend a JobNewsUSA.com Job Fair you will have the opportunity to: • Build your professional network. • Learn about upcoming job opportunities that haven’t been advertised yet. • Possibly walk away with a job! Some employers offer on-the-spot interviews and job offers. Pre-register now to attend: www.jobnewsusa.com We’ll send you a reminder email two days prior to the hiring event. Be sure to dress professionally and bring copies of your updated resume or work history with you. Free parking and admission! For more information, call (210) 785-9300. Sponsored / Hosted by: Job News USA. City: Greeley. State: CO. Event Website: https://www.jobnewsusa.com/job_fairs?utm_source=jobfairsin.com. Thursday, April 25, 2019, 10:00 AM. DoubleTree by Hilton Greeley at Lincoln Park 919 7th Street Greeley, CO.
Signature Flight Support Hiring Event at IAD Airport!! Training Provided for Entry-level Positions We Service Private Jets Date: Thursday, April 25th 2019 Time: 10AM - 3PM Location: Washington Dulles Int'l Airport 23950 Wind Sock Drive, Suite 2000, Washington Dulles, Virginia 20166 Positions: Line Service Technicians Status: Full-Time Schedule: Varies Pay: Depending on FBO Experience Line Service Technicians are responsible for servicing our incoming customers and their aircraft by providing basic fueling, towing and lav/water services. As the first face of our facility, our Line Service Techs also provide an extended level of customer service ensuring our customers are escorted safely into the facility, ensuring they have everything they need as they exit the aircraft and ensuring their passengers and crew are taken care of. Minimum Qualifications: - High School Diploma or General Education Degree (GED) - Have a valid State-Issued Driver's License - Must be able to obtain airport b… City: Dulles. State: VA. Event Website: https://bbaaviation.taleo.net/careersection/1/jobdetail.ftl?lang=en&job=34800. Thursday, April 25, 2019, 10:00 AM. Washington Dulles Intl Airport 23950 Wind Sock Rd. Suite 2000 Dulles VA.
Are You Driven with Aloha? Come join the Roberts Hawaii 'Ohana!!! Now Hiring for various positions in Tours, Transportation, Hospitality, and Entertainment. City: Honolulu. State: HI. Event Website: https://www.robertshawaii.com/careers/?utm_source=jobfairsin.com. Thursday, April 25, 2019, 10:00 AM. Dole Cannery Food Court 680 Iwilei Rd, Suite 700 Honolulu HI. EMPLOYERS interested in exhibiting at this event should e-mail TribPubRecruitment@tribpub.com for package details. Save time. Pack weeks of interviews into three hours. Get immediate answers to your questions about open positions and company hiring processes. Make connections. Shake hands, make eye contact, and tout your skills, experience and education. Gain access to a variety of companies and make instant connections with key hiring decision makers. Put your resume directly into their hands. Learn from the pros. Our expert career coach from Catalyst Career Group will offer a free, on-site career fair orientation. Upon arrival, get an overview of exhibiting companies. Find out how to navigate the career fair and identify which companies to approach. Learn career fair best practices: Networking your way to a new career Creating a powerful networking introduction Distinguishing yourself from competing job candidates Admission is FREE to all jobseekers! Positions regularly… City: Fort Lauderdale. State: FL. Event Website: https://www.eventbrite.com/e/sun-sentinel-career-fair-tickets-54645990629. Event Location: Marriott - Fort Lauderdale #6650 N Andrews Ave. Thursday, April 25, 2019, 10:00 AM – 1:00 PM. Sponsored / Hosted by: cataylst career group. City: Fort Lauderdale. State: FL. Event Website: https://catalystcareergroup.com/event/sun-sentinel-4-25-19/. Event Location: Marriott - Fort Lauderdale #6650 N Andrews Ave. Thursday, April 25, 2019, 10:00 AM – 1:00 PM. Sponsored / Hosted by: Best Hire Career Fairs. City: Pikesville. State: MD. Event Website: https://www.besthirecareerfairs.com/event-schedule/baltimore-job-fair/edate/2019-04-25. Thursday, April 25, 2019, 11:00 AM. Doubletree by Hilton Baltimore North – Pikesville 1726 Reisterstown Rd, Pikesville, MD 21208. Sponsored / Hosted by: Choice Career Fairs. City: Fort Lauderdale. State: FL. Event Website: https://choicecareerfairs.com/e/ft-lauderdale-career-fair-april-25-2019. Notes: What to expect... You'll meet face-to-face with hiring decision-makers from some of the areas top employers. Dress professionally and bring plenty of resumes, because they're here to hire. Walk in and start interviewing, it's that simple. Save time, money and effort interviewing with multiple companies in one day at one location. Many of these companies have several openings and are eager to meet with you. You're no longer just a piece of paper. Attend the career fair and get infront of decision makers.… Thursday, April 25, 2019, 11:00 AM – 2:00 PM. Hilton Fort Lauderdale Marina 1881 SE 17th Street Fort Lauderdale, FL 33316. National Career Fairs is having a hiring event in Henderson, April 25, 2019. The career fair is FREE for all job seekers. You are encouraged to dress professionally and bring multiple copies of your resumes. Pre-register to attend at: https://www.nationalcareerfairs.com/career-fairs/henderson-career-fairs/04-25-2019/ Henderson Career Fair Fiesta Station 777 W. Lake Mead Henderson, Nevada 89015 11:00am-2:00pm https://www.nationalcareerfairs.com. Sponsored / Hosted by: National Career Fairs. City: Henderson. State: NV. Event Website: https://www.nationalcareerfairs.com/career-fairs/henderson-career-fairs/04-25-2019/. Thursday, April 25, 2019, 11:00 AM. Fiesta Station 777 W. Lake Mead Henderson NV. National Career Fairs is having a hiring event in Indianapolis, April 30, 2019. The career fair is FREE for all job seekers. You are encouraged to dress professionally and bring multiple copies of your resumes. Pre-register to attend at: https://www.nationalcareerfairs.com/career-fairs/indianapolis-career-fairs/04-30-2019/ Indianapolis Career Fair Sheraton Indianapolis City Centre 31 W Ohio St Indianapolis, Indiana 46204 11:00am-2:00pm https://www.nationalcareerfairs.com. Sponsored / Hosted by: National Career Fairs. City: Indianapolis. State: IN. Event Website: https://www.nationalcareerfairs.com/career-fairs/indianapolis-career-fairs/04-30-2019/. Thursday, April 25, 2019, 11:00 AM. Sheraton Indianapolis City Centre 31 W Ohio St Indianapolis IN. Are you in the market for a job or a new career? Have you been sending resumes to employers and wonder why they have not got back to you? The key is being able to get in front of the right person who is hiring. At our job fair, you will meet hiring managers from the top companies in this region. Put on your best attire and dress to impress the companies that may be your next employer. At our job fair, you will be able to interview with multiple companies all in the same location on the same day, giving you a greater opportunity to get hired. Attending our career fairs will save you a lot of time and energy it takes to find a job. Preparation is key, update your resume and bring multiple copies to this hiring event. Employers send hiring decision makers to our job fairs to interview the area’s top candidates. Register today to make sure you are one of the candidates they looking to hire. Sponsored / Hosted by: Best Hire Career Fairs. City: Jacksonville. State: FL. Event Website: https://www.besthirecareerfairs.com/job-fairs/jacksonville-job-fairs/. Thursday, April 25, 2019, 11:00 AM. Jacksonville Marriott 4670 Salisbury Rd Jacksonville FL. What to expect... You'll meet face-to-face with hiring decision-makers from some of the areas top employers. Dress professionally and bring plenty of resumes, because they're here to hire. Walk in and start interviewing, it's that simple. Save time, money and effort interviewing with multiple companies in one day at one location. Many of these companies have several openings and are eager to meet with you. You're no longer just a piece of paper. Attend the career fair and get infront of decision makers. What are you waiting for?... Let us know you're coming and register today. Sponsored / Hosted by: Lasvegasjobs.com and Choice Career Fairs. City: N. Las Vegas. State: NV. Event Website: https://choicecareerfairs.com/e/las-vegas-career-fair-april-25-2019. Event Location: Texas Station Casino - Las Vegas #2101 Texas Star Ln. Thursday, April 25, 2019, 11:00 AM. Sponsored / Hosted by: Choice Career Fairs and Lasvegasjobs.com. City: N. Las Vegas. State: NV. Event Website: https://choicecareerfairs.com/e/las-vegas-career-fair-april-25-2019. Notes: What to expect... You'll meet face-to-face with hiring decision-makers from some of the areas top employers. Dress professionally and bring plenty of resumes, because they're here to hire. Walk in and start interviewing, it's that simple. Save time, money and effort interviewing with multiple companies in one day at one location. Many of these companies have several openings and are eager to meet with you. You're no longer just a piece of paper. Attend the career fair and get infront of decision makers.… Thursday, April 25, 2019, 11:00 AM – 2:00 PM. Texas Station Casino & Hotel 2101 Texas Star Ln. N. Las Vegas, NV 89130. Sponsored / Hosted by: Choice Career Fairs and Lasvegasjobs.com. City: N. Las Vegas. State: NV. Event Website: https://choicecareerfairs.com/e/las-vegas-career-fair-april-25-2019. Notes: What to expect... You'll meet face-to-face with hiring decision-makers from some of the areas top employers. Dress professionally and bring plenty of resumes, because they're here to hire. Walk in and start interviewing, it's that simple. Save time, money and effort interviewing with multiple companies in one day at one location. Many of these companies have several openings and are eager to meet with you. You're no longer just a piece of paper. Attend the career fair and get infront of decision makers.… Thursday, April 25, 2019, 11:00 AM – 2:00 PM. Texas Station Casino & Hotel 2101 Texas Star Ln N. Las Vegas, NV 89130. Sponsored / Hosted by: Choice Career Fairs. City: Los Angeles. State: CA. Event Website: https://choicecareerfairs.com/e/los-angeles-career-fair-april-25-2019. Notes: What to expect... You'll meet face-to-face with hiring decision-makers from some of the areas top employers. Dress professionally and bring plenty of resumes, because they're here to hire. Walk in and start interviewing, it's that simple. Save time, money and effort interviewing with multiple companies in one day at one location. Many of these companies have several openings and are eager to meet with you. You're no longer just a piece of paper. Attend the career fair and get infront of decision makers.… Thursday, April 25, 2019, 11:00 AM – 2:00 PM. Crowne Plaza Los Angeles International Airport 5985 W Century Boulevard Los Angeles, CA 90045. National Career Fairs is having a hiring event in New York, April 25, 2019. The career fair is FREE for all job seekers. You are encouraged to dress professionally and bring multiple copies of your resumes. Pre-register to attend at: https://www.nationalcareerfairs.com/career-fairs/new-york-career-fairs/04-25-2019/ New York Career Fair The Watson Hotel	440 West 57th Street New York, New York 10019 11:00am-2:00pm https://www.nationalcareerfairs.com. Sponsored / Hosted by: National Career Fairs. City: New York. State: NY. Event Website: https://www.nationalcareerfairs.com/career-fairs/new-york-career-fairs/04-25-2019/. Thursday, April 25, 2019, 11:00 AM. The Watson Hotel 440 West 57th Street New York NY. Sponsored / Hosted by: Choice Career Fairs. City: Phoenix. State: AZ. Event Website: https://choicecareerfairs.com/e/phoenix-career-fair-april-25-2019. Notes: What to expect... You'll meet face-to-face with hiring decision-makers from some of the areas top employers. Dress professionally and bring plenty of resumes, because they're here to hire. Walk in and start interviewing, it's that simple. Save time, money and effort interviewing with multiple companies in one day at one location. Many of these companies have several openings and are eager to meet with you. You're no longer just a piece of paper. Attend the career fair and get infront of decision makers.… Thursday, April 25, 2019, 11:00 AM – 2:00 PM. DoubleTree by Hilton Phoenix North 10220 N. Metro Parkway East Phoenix, AZ 85051. Seattle Job and Career Fair - Sales & Professional Hiring Event Thursday - April 25th, 2019 *11:30 AM to 1:30 PM Sheraton Bellevue Hotel Meet, sit down and interview with Fortune 500 employers at The Seattle Career Fair - Sales & Professional Job Fair. Industries represented at The Seattle Career Fairs and Hiring Events: Sales, Inside Sales, Outside Sales, Retail, Financial Sales, B2B Sales, Customer Service, Healthcare, Pharmaceutical Sales, Industrial, Military Veterans, Consulting, Customer Service, Enlisted Military Veterans, Security Sales, Event Sales, Solar, Entry-level Management, Medical Device Sales and more... Benefits packages vary at our Seattle Career Fairs, most include a combination of the following: Corporate Benefits Packages: Salaried Positions Base Salary + Positions Bonuses Commission Car or Car Allowance Cell/Laptop Full Medical/Dental/Vision Life Insurance Paid Holidays Expense Account Complete Corporate Training College Tuition Reimbursement M… Sponsored / Hosted by: Diversity Career Group. City: Bellevue. State: WA. Event Website: https://www.diversitycareergroup.com/event/seattle-career-fair-and-job-fair-april-25-2019/. Event Location: Sheraton - Bellevue #100 112th Ave. Thursday, April 25, 2019, 11:30 AM – 1:30 PM. Free job fair Register here: https://www.careershowcase.com/event-details/?eventid=505&venueid=55 This event is open to all levels of experience. Many new companies attending. Our introduction format will give you the opportunity to hear about each company in a theatre environment. This will assist you in deciding which companies you wish to interview with. Dress Professionally. Bring at least 15 copies of your resume. Be ready to network with other candidates. Career Showcase is a full service recruiting organization that specializes in hosting sales, marketing, customer service, banking and management recruiting events. We partner with many top tier companies to help them find the best talent the market has to offer. Companies come to our fairs to interview and hire the best of the best professionals, account executives and managers. Visit www.careershowcase.com for more information. You can register for free here: https://www.careershowcase.com/event-details/?eventid=505&venueid=55. Sponsored / Hosted by: Career Showcase. City: Parsippany. State: NJ. Event Website: https://www.careershowcase.com/event-details/?eventid=505&venueid=55. Thursday, April 25, 2019, 5:00 PM. Parsippany Sheraton 199 Smith Road Parsippany NJ. Meet face to face with multiple decision makers hiring business development, sales and sales management professionals across many industries at companies ranging from small local businesses clear on up to Fortune 500 corporations. Our events are open to executive level experienced professionals as well as entry level and recent college graduates. This is your chance to meet and shake hands with hiring managers! Orange County Career Fair April 25th, 2019 – 6pm Sharp Courtyard Santa Ana/Orange Cty. 8 MacArthur Place Santa Ana, CA 92707 Job seekers: Register to attend by submitting your resume http://www.unitedcareerfairs.com Employers: Contact us at 847-428-1118 or go to http://www.unitedcareerfairs.com for more info. Sponsored / Hosted by: United Career Fairs. City: Santa Ana. State: CA. Event Website: http://www.unitedcareerfairs.com. Thursday, April 25, 2019, 6:00 PM. Courtyard Santa Ana/Orange Cty. 8 MacArthur Place Santa Ana, CA. Meet dozens of military-friendly employers face-to-face at one of the most professional career events in Virginia. Sponsored by Corporate Gray, which has a reputation for getting the best companies and the best candidates together for an efficient and effective experience, this event is especially for transitioning and former/retired military members and military spouses. Open to all branches (Army, Navy, Air Force, Marine Corps, Coast Guard), all ranks (Enlisted Personnel and Officers), and all occupational specialties. Free and open to all candidates. Participating Organizations: Our Military-Friendly Job Fairs typically include dozens of employers – Defense Contractors, Large Fortune 500 firms, Small Businesses, Non-Profits, and Federal, State, and Local Government Agencies. Participants continue to register until the week of the job fair, so check the website for updates: http://corporategray.com/jobfairs/406 One hour career-related presentations will take place at 8 a.m. and Job Fair booths will be… Sponsored / Hosted by: Corporate Gray. City: Springfield. State: VA. Event Website: http://corporategray.com/jobfairs/406?utm_source=www.jobfairsin.com. Friday, April 26, 2019, 9:00 AM – 12:00 PM. Waterford Reception Center 6715 Commerce Street Springfield VA 22150. Ever wonder how your credit score is calculated? Whether you are just graduating from college and needing to understand how credit works, still in school, or just needing a better understanding of credit and your credit score is calculated we invite you to come by and learn from some of our professionals. Progrexion and its affiliated companies have been industry leaders in credit repair for years. We are putting on a networking to help people understand how their credit works, get a free credit score, grab some free food, network, and learn about possible career opportunities with Progrexion. City: West Valley. State: UT. Event Website: https://www.eventbrite.com/e/credit-education-networking-event-tickets-59962481396. Friday, April 26, 2019, 10:00 AM. Progrexion 2850 Decker Lake Dr West Valley UT. The Courtyard by Marriott Southington is a brand new hotel that just opened in November of 2018. We are looking to add to our team! Come and apply for the front desk, housekeeping, Bistro server and future management positions! We look forward to seeing you! on April 27th 10am to 3pm and Monday April 29th 10am to 3pm. City: Southington. State: CT. Event Website: http://www.titanhotelgroup.com/. Saturday, April 27, 2019, 10:00 AM. Courtyard by Marriott Southington 1081 West street Southington CT.
City: Bar Harbor. State: ME. Event Website: https://www.visitbarharbor.com/events/details/job-fair-8456. Saturday, April 27, 2019, 11:00 AM – 4:00 PM. Bar Harbor Municipal Building 93 Cottage St Bar Harbor ME. Ready to grow your career at a local employer of choice? Here's your chance! Join us for our Hiring Event and learn more about our competitive weekly pay, benefits & 401(K), career growth opportunities, and culture built on values, safety, and employee engagement. Learn more, apply online, and GROW your career TODAY at WeSelectTheBest.com! We look forward to seeing you there! Sponsored / Hosted by: C&S Wholesale Grocers. City: Suffield. State: CT. Event Website: https://weselectthebest.com/jobs/?location=Suffield%2C+CT&utm_source=jobfairsin.com. Sunday, April 28, 2019, 3:00 PM. C&S Wholesale Grocers, Suffield 1120 Harvey Ln Suffield CT. The Courtyard by Marriott Southington is a brand new hotel that just opened in November of 2018. We are looking to add to our team! Come and apply for the front desk, housekeeping, Bistro server and future management positions! We look forward to seeing you! on April 27th 10am to 3pm and Monday April 29th 10am to 3pm. City: Southington. State: CT. Event Website: http://www.titanhotelgroup.com/. Monday, April 29, 2019, 10:00 AM. Courtyard by Marriott Southington 1081 West street Southington CT. Sponsored / Hosted by: cataylst career group. City: Brookfield. State: WI. Event Website: https://catalystcareergroup.com/event/milwaukee-4-29-19/. Event Location: Embassy Suites - Brookfield #1200 S Moorland Rd. Monday, April 29, 2019, 10:00 AM – 1:00 PM. Join Us for Our Customer Service Job Fair Monday, April 29, 2019 and Tuesday, April 30, 2019 from 10:00am to 6:00pm UnitedHealth Group 505 Boices Lane Kingston, NY. Sponsored / Hosted by: UnitedHealth Group. City: Kingston. State: NY. Event Website: http://tinyurl.com/y2o3x587. Monday, April 29, 2019, 10:00 AM. UnitedHealth Group 505 Boices Lane Kingston NY. Meet dozens of local employers Face To Face. Admission is FREE. Sponsored / Hosted by: JobFairX. City: Honolulu. State: HI. Event Website: https://www.jobfairx.com/index.php/jobfair/seeker_jobfair/628. Monday, April 29, 2019, 11:00 AM – 2:00 PM. DoubleTree by Hilton Hotel Alana - Waikiki Beach 1956 Ala Moana Blvd. Honolulu, HI 96815. Connect direct with employers from anywhere. Often fast turn-around time from interview to hiring. Fast & easy way to learn about jobs open NOW and education options for veterans. Sponsored / Hosted by: RecruitMilitary. City: Virtual. State: Online. Event Website: https://events.recruitmilitary.com/events/1249. Tuesday, April 30, 2019. Welcome to the 2019 Eastern PA Hiring Expo. The region's leading industries are ready to hire you! Join us for a day of meet-and-greets with top employers, on-site interviews, and many other exciting employment opportunities. Powered by Adams Outdoor Advertising with a campaign reaching 90% of the market, this will be the 'next-level' career fair and hiring event you've been waiting for! City: Bethlehem. State: PA. Event Website: https://www.easternpahiringexpo.com/?utm_source=jobfairsin.com. Tuesday, April 30, 2019, 9:00 AM – 3:00 PM. Sands Event Center 77 Sands Blvd Bethlehem PA.
ATTN: Job Seekers! 100s of Jobs are up for grabs at the Cincinnati / Northern KY Job Fair on April 30th! Meet one-on-one with recruiters & hiring managers who are now hiring for IMMEDIATE OPENINGS! Available positions range from entry level to management, in multiple industries. When you attend a JobNewsUSA.com Job Fair you will have the opportunity to: • Build your professional network. • Learn about upcoming job opportunities that haven’t been advertised yet. • Possibly walk away with a job! Some employers offer on-the-spot interviews and job offers. Pre-register now to attend: www.jobnewsusa.com We’ll send you a reminder email two days prior to the hiring event. Be sure to dress professionally and bring copies of your updated resume or work history with you. Free parking and admission! For more information, call (513) 984-5724. Sponsored / Hosted by: Job News USA. City: Covington. State: KY. Event Website: https://www.jobnewsusa.com/job_fairs?utm_source=jobfairsin.com. Tuesday, April 30, 2019, 10:00 AM. Radisson Hotel Cincinnati Riverfront 668 West 5th Street Covington, KY.
Over 40 area employers are actively recruiting for driving, retail, medical, customer service, manufacturing, administrative, financial/banking, and insurance positions. City: Orland Park. State: IL. Tuesday, April 30, 2019, 10:00 AM – 1:00 PM. Orland Township 14807 Ravinia Avenue Orland Park IL 60462. Sponsored / Hosted by: cataylst career group. City: Lombard. State: IL. Event Website: https://catalystcareergroup.com/event/oak-brook-4-30-19/. Event Location: Embassy Suites - Lombard/Oak Brook #707 East Butterfield Road. Tuesday, April 30, 2019, 10:00 AM – 1:00 PM. Join Us for Our Customer Service Job Fair Monday, April 29, 2019 and Tuesday, April 30, 2019 from 10:00am to 6:00pm UnitedHealth Group 505 Boices Lane Kingston, NY. Sponsored / Hosted by: UnitedHealth Group. City: Kingston. State: NY. Event Website: http://tinyurl.com/y2o3x587. Tuesday, April 30, 2019, 10:00 AM. UnitedHealth Group 505 Boices Lane Kingston NY. National Career Fairs is having a hiring event in Dayton, April 30, 2019. The career fair is FREE for all job seekers. You are encouraged to dress professionally and bring multiple copies of your resumes. Pre-register to attend at: https://www.nationalcareerfairs.com/career-fairs/dayton-career-fairs/04-30-2019/ Dayton Career Fair Crowne Plaza Dayton 33 East Fifth Street Dayton OH 11:00am-2:00pm https://www.nationalcareerfairs.com. Sponsored / Hosted by: National Career Fairs. City: Dayton. State: OH. Event Website: https://www.nationalcareerfairs.com/career-fairs/dayton-career-fairs/04-30-2019/?utm_source=jobfairsin.com. Event Location: Crowne Plaza - Dayton #33 E 5th St. Tuesday, April 30, 2019, 11:00 AM. National Career Fairs is having a hiring event in Overland Park, April 30, 2019. The career fair is FREE for all job seekers. You are encouraged to dress professionally and bring multiple copies of your resumes. Pre-register to attend at: https://www.nationalcareerfairs.com/career-fairs/overland-park-career-fairs/04-30-2019/ Overland Park Career Fair Holiday Inn & Suites Overland Park West 8787 Reeder Road Overland Park, Kansas 66214 11:00am-2:00pm https://www.nationalcareerfairs.com. Sponsored / Hosted by: National Career Fairs. City: Overland Park. State: KS. Event Website: https://www.nationalcareerfairs.com/career-fairs/overland-park-career-fairs/04-30-2019/. Tuesday, April 30, 2019, 11:00 AM. Holiday Inn & Suites Overland Park West 8787 Reeder Road Overland Park KS. Free job fair Register here: https://www.careershowcase.com/event-details/?eventid=506&venueid=85 This event is open to all levels of experience. Many new companies attending. Our introduction format will give you the opportunity to hear about each company in a theatre environment. This will assist you in deciding which companies you wish to interview with. Dress Professionally. Bring at least 15 copies of your resume. Be ready to network with other candidates. Career Showcase is a full service recruiting organization that specializes in hosting sales, marketing, customer service, banking and management recruiting events. We partner with many top tier companies to help them find the best talent the market has to offer. Companies come to our fairs to interview and hire the best of the best professionals, account executives and managers. Visit www.careershowcase.com for more information. You can register for free here: https://www.careershowcase.com/event-details/?eventid=506&venueid=85. Sponsored / Hosted by: Career Showcase. City: Princeton. State: NJ. Event Website: https://www.careershowcase.com/event-details/?eventid=506&venueid=85. Tuesday, April 30, 2019, 5:00 PM. Hyatt Regency 102 Carnegie Center Dr Princeton NJ. Free and Open to the Public All candidates are welcome and encouraged to attend regardless of experience! Bring resumes & dress professionally. City: Fitchburg. State: MA. Event Website: https://www.montytech.net/cms/lib/MA02212741/Centricity/Domain/8/Career%20Expo%20Flyer.pdf. Tuesday, April 30, 2019, 6:00 PM. Montachusett Regional Vocational Technical School 1050 Westminster St Fitchburg MA. Willis Towers Watson wants you! Role: Customer Service Representative Compensation: $15.00/hr Location: 10975 S Sterling View Dr, South Jordan, UT 84095 Training: 3 weeks M-F 8am-5pm Schedule: Discussed in the in-person interview Come join us on Wednesday, May 1st for our in-house hiring event 8AM-6PM! Interviews and same-day offers will be given as well as light refreshments. Please do not hesitate to call or email me! Work: 801-415-1738 Email: ie.ut.recruiting@willistowerswatson.com Link to job description & application: https://careers.willistowerswatson.com/job/9439407/customer-service-representative-south-jordan-ut/ We can’t wait to see you! -Ivana Ma’asi UT recruiting lead for Willis Towers Watson. Sponsored / Hosted by: Willis Towers Watson. City: South Jordan. State: UT. Event Website: https://careers.willistowerswatson.com/job/9439407/customer-service-representative-south-jordan-ut/. Wednesday, May 1, 2019, 8:00 AM – 6:00 PM. Willis Towers Watson 10975 S Sterling View Dr South Jordan UT. Hiring Event - Multiple positions at SFO Airport! Signature Flight Support Hiring Event at SFO Airport!! Training Provided for Entry-level Positions We Service Private Jets Date: Wednesday May 1st, 2019 Time: 9:00 AM to 3:00 PM Location: San Francisco Int'l Airport 1052 North Access Road, San Francisco, California 94128 Positions: Customer Service Representatives | Line Service Technicians | Air Concierge Status: Full Time (40 hours per week) Schedule: Varies Pay: Depending On FBO Experience Minimum Qualifications: - High School Diploma or General Education Degree (GED) - Have a valid State-Issued Driver's License - Must be able to obtain airport badge (passing a 10-year background check) - Must be able to take/pass a pre-employment drug screening. Ready to give your career wings? Join the leading global provider of flight support services! Apply today using the link below or visit www.signatureflight.com/employment, hit "View USA Jobs" and search by location "San Francisco, CA". A Recruiter from our Talent Acquisition team from o… City: San Francisco. State: CA. Event Website: https://bbaaviation.taleo.net/careersection/1/jobdetail.ftl?lang=en&job=34720. Wednesday, May 1, 2019, 9:00 AM. San Francisco Int'l Airport 1052 North Access Road San Francisco CA. WE will be hosting our 4th annual cluster 6 Job Fair. Please register on Eventbrite. We are expecting over 30 employers. City: Los Angeles. State: CA. Event Website: https://www.eventbrite.com/e/4th-annual-east-los-angeles-community-hiring-event-2019-tickets-58612549714?aff=ebdssbdestsearch. Wednesday, May 1, 2019, 10:00 AM. East Los Angeles Community Center 133 N. Sunol Drive Los Angeles CA. • Prepare your elevator speech • Dress professionally, as if attending a job interview • Display an engaging & motivated attitude to make a positive impression • Bring several copies of your updated resume or work history to the event Parking and Admission are FREE! Interested in Recruiting?… Sponsored / Hosted by: Job News USA. City: Jacksonville. State: FL. Event Website: https://jobfairsnearme.com/job_fairs/05-slash-01-slash-2019-jobnewsusa-dot-com-jacksonville-job-fair-may-1st-may-1-2019?utm_source=jobfairsin&utm_medium=organic&utm_term=&utm_content=&utm_campaign=JAX190501. Event Location: Prime F. Osborn III Convention Ctr - Jacksonville #1000 Water St. Wednesday, May 1, 2019, 10:00 AM. Sponsored / Hosted by: cataylst career group. City: Irving. State: TX. Event Website: https://catalystcareergroup.com/event/dallas-5-1-19/. Event Location: Embassy Suites - Irving - DFW #4650 West Airport Freeway. Wednesday, May 1, 2019, 10:00 AM – 1:00 PM. WorkSource Skagit’s Job Fair will host up to 50 different businesses seeking to hire. Bring your résumé and be prepared to meet with representatives who may interview on the spot or require an online application. The first 30 minutes of the Job Fair is Reserved for Veterans only access. (10:00 to 10:30 AM). City: Burlington. State: WA. Event Website: https://www.worksourcewa.com/microsite/Content.aspx?appid=WAWORKSHOPS&pagetype=simple&seo=events. Wednesday, May 1, 2019, 10:00 AM. Christ the King Community Center 1000 Fountain Street Burlington WA. Sponsored / Hosted by: Choice Career Fairs. City: Arlington. State: VA. Event Website: https://choicecareerfairs.com/e/washington-dc-career-fair-may-1-2019. Notes: What to expect... You'll meet face-to-face with hiring decision-makers from some of the areas top employers. Dress professionally and bring plenty of resumes, because they're here to hire. Walk in and start interviewing, it's that simple. Save time, money and effort interviewing with multiple companies in one day at one location. Many of these companies have several openings and are eager to meet with you. You're no longer just a piece of paper. Attend the career fair and get infront of decision makers.… Wednesday, May 1, 2019, 11:00 AM – 2:00 PM. Holiday Inn Rosslyn 1900 N Fort Myer Dr Arlington, VA 22209. DJS, LLC Presents XXVI Annual Diversity Job Fair The May 2019 Diversity Job Fair will allow job-seekers an opportunity to meet face to face with employers that have job opportunities available. This community wide job fair is designed to assist the public with all of their employment needs. This event is open to the general public and is absolutely FREE for all job-seekers to attend. WHEN: Wednesday May 01, 2019 TIME: 11:00AM-03:00PM WHERE: North County Recreation Complex 2577 Redman Avenue St. Louis, MO 63136 WHAT TYPES OF POSITIONS EMPLOYERS ARE HIRING FOR? Office Administration, Engineering, Architects, Clerical, Healthcare, Information Technology & Software, Business Administration, Hospitality, Community Development, Education, Finance & Accounting, Sales & Marketing, Customer Service, Retail Management, Grocery Store Operations, Optical Care, Collections & Billing, Insurance, Financial Advising, Credit Card Services, Account Management, Call Center Reps, Human Resources, Mortgage, Bank… Sponsored / Hosted by: Diversity Job Source. City: Saint Louis. State: MO. Event Website: https://www.regonline.com/builder/site/Default.aspx?EventID=2559921. Wednesday, May 1, 2019, 11:00 AM. North County Recreation Complex 2577 Redman Avenue St. Louis, MO 63136. Walk in Wednesday starts May 1st from 1:00pm-3:00pm. All Speedway locations in Bolingbrook are participating. Get interviewed and possibly a job offer the same day! Apply online at www.speedway.com/careers. Sponsored / Hosted by: Speedway LLC. City: Bolingbrook. State: IL. Event Website: https://www.speedway.com/careers?utm_source=jobfairsin.com. Wednesday, May 1, 2019, 1:00 PM. Speedway Store #7542 352 S. Bolingbrook Drive Bolingbrook IL. Companies Attending Belcan Government Services CenturyLink DynCorp International Enterprise Resource Performance, Inc. EY FEDDATA Leidos Mission Essential OBXtek A current or active security clearance is required for admittance. Resume Reviews (2:00 pm to 6:00 pm) These are quick 5-minute sessions with Air Force veteran Patra Frame. Offered on a first-come, first-serve basis, they do fill up fast. Tips for a Successful Job Fair Be sure to register and upload your resume before the job fair. Recruiters receive a pre-registrant resume file before the job fair and may contact you to set up an interview. Don't be discouraged if you don't hear from an employer before the event, as not all employers will have time to review resumes beforehand. A job fair is a networking event filled with hundreds of people with information about jobs. You're here to network with job seekers as well as employers to move your job search forward by making connections and gathering information. Get in the right frame of mind. If yo… City: Falls Church. State: VA. Event Website: https://clearedjobs.net/job-fair/fair/94. Thursday, May 2, 2019. Westin Tysons Corner 7801 Leesburg Pike Falls Church, Virginia. RecruitMilitary has held 28 events in Charlotte, drawing 9,101 attendees and 1,048 exhibitors. Sponsored / Hosted by: RecruitMilitary. City: Charlotte. State: NC. Event Website: https://events.recruitmilitary.com/events/1158. Thursday, May 2, 2019. Bojangles' Coliseum 2700 East Independence Blvd Charlotte, NC 28205. RecruitMilitary has held 46 events in Dallas, drawing 22,317 attendees and 2,984 exhibitors. Sponsored / Hosted by: RecruitMilitary. City: Arlington. State: TX. Event Website: https://events.recruitmilitary.com/events/1159. Thursday, May 2, 2019. AT&T Stadium One AT&T Way Arlington, TX 76011. Thursday, May 2, 2019 from 11:00am to 2:00pm CST Connect from your smartphone, tablet, or computer to chat with recruiters and learn more about our exciting Inside Sales opportunities! Horsham Green Bay Kendall/Miami Maryland Heights Phoenix Roanoke. Sponsored / Hosted by: UnitedHealth Group. City: Horsham. State: PA. Event Website: https://app.brazenconnect.com/events/GlZmw?utm_medium=email&utm_source=tas&utm_content=blast&utm_campaign=outreach. Thursday, May 2, 2019. Virtual- for Multiple Locations Horsham PA.
Thursday, May 2, 2019 from 11:00am to 2:00pm CST Connect from your smartphone, tablet, or computer to chat with recruiters and learn more about our exciting Inside Sales opportunities! Horsham Green Bay Kendall/Miami Maryland Heights Phoenix Roanoke. Sponsored / Hosted by: UnitedHealth Group. City: Online. State: Online. Event Website: https://app.brazenconnect.com/events/GlZmw?utm_medium=email&utm_source=tas&utm_content=blast&utm_campaign=outreach. Thursday, May 2, 2019. Virtual- for Multiple Locations Horsham PA.
Join us for Open Interviews at the Peru Speedway on Thursday, May 2nd from 9a-1p. Apply online prior to the event to expedite the hiring process. Immediate job offers possible. Seeking Customer Service Representatives and Café Food Service Specialists. City: Peru. State: IL. Event Website: http://www.speedway.com/careers. Thursday, May 2, 2019, 9:00 AM – 1:00 PM. Speedway Store #8883 3151 May Road Peru IL. Job Fair at BERC, May 2, 2019 - Meet with employers and learn about employment opportunities in Carroll County Maryland, submit your resume and application for job openings. Job Fair for job seekers and employers in Carroll County Maryland. When: Thursday, May 2, 2019 ; Where: BERC, 224 North Center St. Westminster, MD, 21157 Time: 10 am to 1 pm Cost: Free List of Participating Employers & Open Positions Coming soon! Info: 410-386-2820 #jobs #employment #carrollcounty #maryland #jobfair. City: Westminster. State: MD. Event Website: https://www.facebook.com/events/380941045969593/. Thursday, May 2, 2019, 10:00 AM. Carroll County Business & Employment Resource Center 224 North Center Street, 1st Floor Westminster MD. ATTN: Job Seekers! 100s of Jobs are up for grabs at the Washington, PA Job Fair on May 2nd! Meet one-on-one with recruiters & hiring managers who are now hiring for immediate openings! Featuring high paying jobs in the Energy & Transportation Industries! Get in before these positions fill up! When you attend a JobNewsUSA.com Job Fair you will have the opportunity to: • Build your professional network. • Learn about upcoming job opportunities that haven’t been advertised yet. • Possibly walk away with a job! Some employers offer on-the-spot interviews and job offers. Pre-register now to attend! We’ll send you a reminder email one day prior to the hiring event. Tips for Job Fair Success: • Prepare your elevator speech • Dress professionally, as if attending a job interview • Display an engaging & motivated attitude to make a positive impression • Bring several copies of your updated resume or work history to the event Parking and Admission are FREE! Interested in Recruiting? Looking for qualified candida… Sponsored / Hosted by: Job News USA. City: Washington. State: PA. Event Website: https://jobfairsnearme.com/job_fairs/jobnewsusa-dot-com-washington-pa-job-fair-may-2nd-may-2-2019?utm_source=jobfairsin&utm_medium=organic&utm_term=&utm_content=&utm_campaign=WSH190502. Thursday, May 2, 2019, 10:00 AM. DoubleTree by Hilton Hotel Pittsburgh - Meadow Lands 340 Racetrack Road Washington PA. Sponsored / Hosted by: cataylst career group. City: Denver. State: CO. Event Website: https://catalystcareergroup.com/event/denver-5-2-19/. Event Location: Embassy Suites - Denver #4444 N Havana St. Thursday, May 2, 2019, 10:00 AM – 1:00 PM. Are you in the market for a job or a new career? Have you been sending resumes to employers and wonder why they have not got back to you? The key is being able to get in front of the right person who is hiring. At our job fair, you will meet hiring managers from the top companies in this region. Put on your best attire and dress to impress the companies that may be your next employer. At our job fair, you will be able to interview with multiple companies all in the same location on the same day, giving you a greater opportunity to get hired. Attending our career fairs will save you a lot of time and energy it takes to find a job. Preparation is key, update your resume and bring multiple copies to this hiring event. Employers send hiring decision makers to our job fairs to interview the area’s top candidates. Register today to make sure you are one of the candidates they looking to hire. Sponsored / Hosted by: Best Hire Career Fairs. City: Boston. State: MA. Event Website: https://www.besthirecareerfairs.com. Thursday, May 2, 2019, 11:00 AM – 2:00 PM. Courtyard Boston Downtown 275 Tremont Street Boston, MA 02116. Sponsored / Hosted by: Choice Career Fairs. City: Jacksonville. State: FL. Event Website: https://choicecareerfairs.com/e/jacksonville-career-fair-may-2-2019. Notes: What to expect... You'll meet face-to-face with hiring decision-makers from some of the areas top employers. Dress professionally and bring plenty of resumes, because they're here to hire. Walk in and start interviewing, it's that simple. Save time, money and effort interviewing with multiple companies in one day at one location. Many of these companies have several openings and are eager to meet with you. You're no longer just a piece of paper. Attend the career fair and get infront of decision makers.… Thursday, May 2, 2019, 11:00 AM – 2:00 PM. Jacksonville Marriott 4670 Salisbury Road Jacksonville, FL 32256. Sponsored / Hosted by: Choice Career Fairs. City: Bloomington. State: MN. Event Website: https://choicecareerfairs.com/e/minneapolis-career-fair-may-2-2019. Notes: What to expect... You'll meet face-to-face with hiring decision-makers from some of the areas top employers. Dress professionally and bring plenty of resumes, because they're here to hire. Walk in and start interviewing, it's that simple. Save time, money and effort interviewing with multiple companies in one day at one location. Many of these companies have several openings and are eager to meet with you. You're no longer just a piece of paper. Attend the career fair and get infront of decision makers.… Thursday, May 2, 2019, 11:00 AM – 2:00 PM. Embassy Suites Minneapolis - Airport 7901 34th Avenue South Bloomington, MN 55425. Don't miss this one-day event focused on empowering the veteran and local community offering a career fair, workshops, and resources for personal and professional growth. Meet with State and Federal Government Agencies, corporate and local businesses offering sought after employment opportunities. Sponsored / Hosted by: Green Card Veterans - IAHSE. City: Berwyn. State: IL. Event Website: https://www.facebook.com/events/393460518052487/. Thursday, May 2, 2019, 11:00 AM. PAV YMCA 2947 S. Oak Park Ave Berwyn IL. Companies registered: RM Manufacturing Co. , Oak Street Health , Superdawg Drive-In, Inc , Hilton , US Census Bureau , The Metropolitan , ScribeAmerica , Aramark , Illinois Auto Truck , Rozalado & Co. , Lawrence Eye Care , Gate Gourmet , First Student Inc. , Label Master , ABM , Lettuce Entertain You , Erie Family Health Centers. City: Chicago. State: IL. Event Website: https://www.hanacenter.org/?utm_source=jobfairsin.com. Thursday, May 2, 2019, 11:00 AM. HANA Center Chicago 4300 N California Ave Chicago IL. Sponsored / Hosted by: Choice Career Fairs. City: St. Louis. State: MO. Event Website: https://choicecareerfairs.com/e/st-louis-career-fair-may-2-2019. Notes: What to expect... You'll meet face-to-face with hiring decision-makers from some of the areas top employers. Dress professionally and bring plenty of resumes, because they're here to hire. Walk in and start interviewing, it's that simple. Save time, money and effort interviewing with multiple companies in one day at one location. Many of these companies have several openings and are eager to meet with you. You're no longer just a piece of paper. Attend the career fair and get infront of decision makers.… Thursday, May 2, 2019, 11:00 AM – 2:00 PM. DoubleTree by Hilton Hotel St. Louis - Westport 1973 Craigshire Road St. Louis, MO 63146. Are you in the market for a job or a new career? Have you been sending resumes to employers and wonder why they have not got back to you? The key is being able to get in front of the right person who is hiring. At our job fair, you will meet hiring managers from the top companies in this region. Put on your best attire and dress to impress the companies that may be your next employer. At our job fair, you will be able to interview with multiple companies all in the same location on the same day, giving you a greater opportunity to get hired. Attending our career fairs will save you a lot of time and energy it takes to find a job. Preparation is key, update your resume and bring multiple copies to this hiring event. Employers send hiring decision makers to our job fairs to interview the area’s top candidates. Register today to make sure you are one of the candidates they looking to hire. Sponsored / Hosted by: Best Hire Career Fairs. City: Arlington. State: VA. Event Website: https://www.besthirecareerfairs.com/event-schedule/washington-dc-job-fair/edate/2019-05-02. Thursday, May 2, 2019, 11:00 AM – 2:00 PM. Crystal City Marriott at Reagan National Airport 1999 Jefferson Davis Highway Arlington, VA 22202. You are invited to join Avenue5 Residential at our Coffee Connect Event on May 2nd from 2pm - 7pm! Hiring Managers will be present to conduct interviews and discuss current and up and coming roles! Here are just a few reasons why you should attend... Avenue5 has been ranked second on the Puget Sound Business Journal's list of Washington's 100 fastest-growing private companies. 230+ internal promotions were given in 2018 You can make a difference, be a true contributor, be empowered and have FUN! When: Thursday, May 2nd, 2pm - 7pm Where: 3250 Laurelhurst Dr. Rancho Cordova, CA 95670. Join us at one of our beautiful properties, Avion, and learn what it means to be part of an award winning company. City: Rancho Cordova. State: CA. Event Website: http://hrbrg.co/gN878z. Thursday, May 2, 2019, 2:00 PM – 7:00 PM. Avion Apartments 3250 Laurelhurst Dr. Rancho Cordova CA. You are invited to join Avenue5 Residential at our Coffee Connect Event on May 2nd from 2pm - 7pm! Hiring Managers will be present to conduct interviews and discuss current and up and coming roles! Here are just a few reasons why you should attend... Avenue5 has been ranked second on the Puget Sound Business Journal's list of Washington's 100 fastest-growing private companies. 230+ internal promotions were given in 2018 You can make a difference, be a true contributor, be empowered and have FUN! When: Thursday, May 2nd, 2pm - 7pm Where: 750 Arrowcreek Parkway, Reno, NV 89511. Join us at one of our beautiful properties, The Village at Arrowcreek, and learn what it means to be part of an award winning company. City: Reno. State: NV. Event Website: http://hrbrg.co/TivYgg. Thursday, May 2, 2019, 2:00 PM – 7:00 PM. The Village at Arrowcreek 750 Arrowcreek Parkway Reno NV. You are invited to join Avenue5 Residential at our Open Interview Event on May 2nd from 2pm - 7pm! Hiring Managers will be present to conduct interviews and discuss current and up and coming roles! Here are just a few reasons why you should attend... Avenue5 has been ranked second on the Puget Sound Business Journal's list of Washington's 100 fastest-growing private companies. 230+ internal promotions were given in 2018 You can make a difference, be a true contributor, be empowered and have FUN! When: Thursday, May 2nd, 2pm - 7pm Where: 8725 Ariva Court, San Diego, CA 92123 Join us at one of our beautiful properties, Vive on the Park, and learn what it means to be part of an award winning company. Apply here if interested, or just come by when you are able! We look forward to meeting with you! City: San Diego. State: CA. Event Website: http://hrbrg.co/9aQRTv. Thursday, May 2, 2019, 2:00 PM – 7:00 PM. Vive on the Park 8725 Ariva Court San Diego CA. We are holding Open Interviews on April 24th from 2pm - 7pm! Hiring Managers will be present to conduct interviews and discuss current and up and coming roles! Here are just a few reasons why you should attend... Avenue5 has been ranked second on the Puget Sound Business Journal's list of Washington's 100 fastest-growing private companies. 230+ internal promotions were given in 2018 You can make a difference, be a true contributor, be empowered and have FUN! When: Wednesday, April 24th, 4pm - 7pm Where: The Arbors at Edgewood | 10304 20th Street E, Edgewood WA, WA 98372 Join us at one of our beautiful properties, The Arbors at Edgewood, and learn what it means to be part of an award winning company. Sponsored / Hosted by: Avenue5 Residential. City: Edgewood. State: WA. Event Website: http://hrbrg.co/qYoD5Y. Thursday, May 2, 2019, 2:00 PM. The Arbors at Edgewood 10304 20th Street E Edgewood WA. Join the City of Aberdeen and Link Solutions, Inc. for the second annual Defense Contractor Hiring Event on Friday, May 3, 2019! This event will feature 30 Defense Contractors with open positions in IT, Cyber Security, Logistics, Administration, Test and Quality Engineering, and more! This event is open to cleared and non-cleared professionals! Register today for this free event at https://www.mt.cm/career-fair! Sponsored / Hosted by: City of Aberdeen. City: Aberdeen. State: MD. Event Website: https://www.mt.cm/career-fair?utm_source=jobfairsin.com. Friday, May 3, 2019, 10:00 AM – 4:00 PM. Ripken Stadium 873 Long Drive Aberdeen MD. Williams is looking for Class A CDL Drivers. Stop by and speaking to our knowledgeable staff to find out more information on open opportunities. New Pay Packages and Excellent Comprehensive Benefits! Sponsored / Hosted by: Williams NationaLease. City: Bloomington. State: IL. Event Website: http://www.wnlgroup.com/?utm_source=jobfairsin.com. Friday, May 3, 2019, 10:00 AM. Chateau Center and Conference Center 1621 Jumer Dr Bloomington IL. MIXER DRIVER HIRING EVENT! Saturday May 4th, 9am—1pm 1627 Cole Blvd Suite 200 Lakewood, CO Pursue a career in ready mix concrete with Colorado's industry leader! NOW HIRING Experienced CDL Drivers and Recent Driving School Graduates. ON-SITE INTERVIEWS & ROAD TESTS Bring your CDL and Medical Card REQUIREMENTS: • Valid CDL Class B license with air brake endorsement • Must pass a road test Able to work 50-70 hours a week • Available to work rotating Saturdays • Must be able to work a varying work schedule • Ability to work outside in Colorado’s changing weather • Safe driving record • Clean criminal background • Will be required to complete a drug screen and physical PAY: • Starting rate of $22 per hour or higher depending on experience BENEFITS: • Guaranteed to be home every night • 401(k) plan with company matching plus a defined benefit pension plan • Comprehensive benefits start on Day 1 • Gym membership reimbursement • Other benefits include paid holidays, paid vacation, and… City: Golden. State: CO. Event Website: https://jobfairsnearme.com/job_fairs/martin-marietta-mixer-driver-hiring-event-may-4th-may-4-2019?utm_source=jobfairsin&utm_medium=cpc&utm_term=&utm_content=&utm_campaign=253201. Saturday, May 4, 2019, 9:00 AM. Martin Marietta 1627 Cole Blvd Suite 200 Lakewood, CO. Whether you are in the market for a job or hiring, the Accelerate AI Career Expo is the place to be! Come listen to experts about the Data Science hiring process, growing your career or developing skills needed for the right position. Check here for the detailed schedule! Saturday, May 4th from 10:30am - 3:00pm representatives from 40+ of the top data science companies will be seeking talented individuals to fill their open positions. Companies will be interviewing on site! Accelerate AI Career Expo will target job seekers from both the tech and business fields. You should consider attending if you’re a developer, marketer, data scientist, software engineer, data engineer, data analyst, business analyst, product manager or in another related field. Companies that will be hiring Macy's, Wayfair, Bose, Mass Mutal, Liberty Mutual, Nielson, CVS, Aetna, Stanley Black & Decker, Hired & many more!! Employers that interested in hiring at the Career Expo, please email your inquiries to hiring@odsc.co… Sponsored / Hosted by: Open Data Science, Inc. City: Boston. State: MA. Event Website: https://www.eventbrite.com/e/accelerate-ai-career-expo-2019-the-largest-data-science-and-ai-career-expo-of-2019-tickets-55349583093. Event Location: Hynes Convention Center - Boston #900 Boylston St. Saturday, May 4, 2019, 10:30 AM. Sponsored / Hosted by: cataylst career group. City: Chicago. State: IL. Event Website: https://catalystcareergroup.com/event/chicago-5-1-19/. Monday, May 6, 2019, 10:00 AM – 1:00 PM. University of Phoenix Chicago Campus 13th Floor, Suite 1300, 203 N. LaSalle Street Chicago, IL 60601. Denver Job Fair - May 6, 2019 - Live Hiring Event! Meet face to face with top employers hiring for Sales, Customer Service, Retail, Financial Services, Management, I.T. Government positions and more! This hiring event is FREE to Job Seekers. You are invited to attend our upcoming Job Fair, attendance is free! This will be a great opportunity to meet local, regional, and Fortune 500 Companies with immediate job openings in your area. Our events are open to executive level experienced professionals as well as entry level and recent college graduates. This is your chance to meet directly with hiring managers! Make sure to register so that companies can review your resume prior to attending the career fair. Many career opportunities include some/all of the following: - Base salary plus commission - Flexible schedule - Opportunity for advancement - Car/Gas allowance - Healthcare - Stock Options - Retirement Plans - Sales Awards/Bonuses/Trips Be prepared: Plan to take updated crisp resumes to a career fair, prepare to interview on the spot, dress to impress:… Sponsored / Hosted by: Coast to Coast Career Fairs. City: Denver. State: CO. Event Website: https://www.eventbrite.com/e/denver-job-fair-may-6-2019-job-fairs-hiring-events-in-denver-co-tickets-52553782779. Monday, May 6, 2019, 11:00 AM. Holiday Inn Denver-Cherry Creek 455 South Colorado Blvd Denver CO.
- One of the largest, most affordable & highly rated Job Fairs in KC - Eight years of biannual Job Fairs for men & women - Spacious & organized venue - All contributions tax deductible - 70+ companies - 450+ Job Seekers - Multiple industries. City: Kansas City. State: MO. Event Website: http://kcwen.org/news_events/events/kcjobfairs?utm_source=jobfairsin.com. Monday, May 6, 2019, 1:00 PM. Sheraton Crown Center 2830 Harrison 1S Kansas City MO. Sponsored / Hosted by: cataylst career group. City: Tinley Park. State: IL. Event Website: https://catalystcareergroup.com/event/tinley-park-5-2-19/. Event Location: Holiday Inn - Tinley Park #18501 Convention Center Dr. Tuesday, May 7, 2019, 10:00 AM – 1:00 PM. Atlanta Career Fair -May 7, 2019 - Live Hiring Event! Meet face to face with top employers hiring for Sales, Customer Service, Retail, Financial Services, Management, I.T. Government positions and more! This hiring event is FREE to Job Seekers. You are invited to attend our upcoming Job Fair, attendance is free! This will be a great opportunity to meet local, regional, and Fortune 500 Companies with immediate job openings in your area. Our events are open to executive level experienced professionals as well as entry level and recent college graduates. This is your chance to meet directly with hiring managers! Make sure to register so that companies can review your resume prior to attending the career fair. Many career opportunities include some/all of the following: - Base salary plus commission - Flexible schedule - Opportunity for advancement - Car/Gas allowance - Healthcare - Stock Options - Retirement Plans - Sales Awards/Bonuses/Trips Be prepared: Plan to take updated crisp resumes to a career fair, prepare to interview on the spot, dress to impress:… Sponsored / Hosted by: Coast to Coast Career Fairs. City: Atlanta. State: GA. Event Website: https://www.eventbrite.com/e/atlanta-job-fair-may-7-2019-job-fairs-hiring-events-in-atlanta-ga-tickets-49360722249. Tuesday, May 7, 2019, 11:00 AM. Holiday Inn & Suites Atlanta Airport North 1380 Virginia Avenue Atlanta GA.
Meet face to face with top employers hiring for Sales, Customer Service, Retail, Financial Services, Management, I.T. Government positions and more! This hiring event is FREE to Job Seekers. You are invited to attend our upcoming Job Fair, attendance is free! This will be a great opportunity to meet local, regional, and Fortune 500 Companies with immediate job openings in your area. Our events are open to executive level experienced professionals as well as entry level and recent college graduates. This is your chance to meet directly with hiring managers! Make sure to register so that companies can review your resume prior to attending the career fair. Many career opportunities include some/all of the following: - Base salary plus commission - Flexible schedule - Opportunity for advancement - Car/Gas allowance - Healthcare - Stock Options - Retirement Plans - Sales Awards/Bonuses/Trips Be prepared: Plan to take updated crisp resumes to a career fair, prepare to interview on the spot, dress to impress:… Sponsored / Hosted by: Coast to Coast Career Fairs. City: Orlando. State: FL. Event Website: https://www.eventbrite.com/e/orlando-job-fair-may-7-2019-job-fairs-hiring-events-in-orlando-fl-tickets-49411784979. Tuesday, May 7, 2019, 11:00 AM. Four Points by Sheraton Orlando 5905 International Drive Orlando FL. City: Rincon. State: GA. Event Website: https://www.effinghamcounty.com/events/details/effingham-chamber-of-commerce-job-fair-192. Wednesday, May 8, 2019, 10:00 AM – 2:00 PM. Effingham College & Career Academy Rincon GA.
ATTN: Job Seekers! 100s of Jobs are up for grabs at the Tulsa Job Fair on May 8th! Meet one-on-one with recruiters & hiring managers who are now hiring for immediate openings! Available positions range from entry level to management, in multiple industries. Get in before these positions fill up! When you attend a JobNewsUSA.com Job Fair you will have the opportunity to: • Build your professional network. • Learn about upcoming job opportunities that haven’t been advertised yet. • Possibly walk away with a job! Some employers offer on-the-spot interviews and job offers. Pre-register now to attend! We’ll send you a reminder email one day prior to the hiring event. Tips for Job Fair Success: • Prepare your elevator speech • Dress professionally, as if attending a job interview • Display an engaging & motivated attitude to make a positive impression • Bring several copies of your updated resume or work history to the event Parking and Admission are FREE! Interested in Recruiting? Looking for qualified candi… Sponsored / Hosted by: Job News USA. City: Tulsa. State: OK. Event Website: https://jobfairsnearme.com/job_fairs/05-slash-08-slash-2019-jobnewsusa-dot-com-tulsa-job-fair-may-8th-may-8-2019?utm_source=jobfairsin&utm_medium=organic&utm_term=&utm_content=&utm_campaign=TUL190508. Wednesday, May 8, 2019, 10:00 AM. Renaissance Tulsa Hotel & Convention Center 6808 South 107th East Avenue Tulsa OK.
CCYP Bilingual Job Fair Is Waiting For You! Event Details - Date and Time : 05/08/2019 10:30am - 3:30pm - Location : San Gabriel Ballroom, Hilton San Gabriel 225 W. Valley Blvd. San Gabriel, CA 91776 - Free of charge for candidates (Need to bring resume or business card at the checking in) EMPLOYERS: We are excited to announce that our on-site job fair is about to take place at Hilton San Gabriel at 10:30 am – 3:30 pm on May 8th, 2019. Our venue size will be up to 10 thousand square feet. In 2018 job fair, we had 82 top branded business and 50 government agencies providing more than 400 opening positions with over hundreds of job seekers a day. Notable recruiters included Bank of America, Air China, H Mart, 99 Ranch, China Eastern Airlines and other major corporations. Secure your spot at the event! Sponsored / Hosted by: COMSC華人工商. City: San Gabriel. State: CA. Event Website: https://www.eventbrite.com/e/2019-ccyp-job-fairlos-angeles-bilingual-career-fair-tickets-57131493836. Wednesday, May 8, 2019, 10:30 AM – 3:30 PM. San Gabriel Ballroom, Hilton San Gabriel 225 West Valley Boulevard San Gabriel CA 91776. Are you in the market for a job or a new career? Have you been sending resumes to employers and wonder why they have not got back to you? The key is being able to get in front of the right person who is hiring. At our job fair, you will meet hiring managers from the top companies in this region. Put on your best attire and dress to impress the companies that may be your next employer. At our job fair, you will be able to interview with multiple companies all in the same location on the same day, giving you a greater opportunity to get hired. Attending our career fairs will save you a lot of time and energy it takes to find a job. Preparation is key, update your resume and bring multiple copies to this hiring event. Employers send hiring decision makers to our job fairs to interview the area’s top candidates. Register today to make sure you are one of the candidates they looking to hire. Sponsored / Hosted by: Best Hire Career Fairs. City: Chicago. State: IL. Event Website: https://www.besthirecareerfairs.com/job-fairs/chicago-job-fairs/. Wednesday, May 8, 2019, 11:00 AM. The Congress Plaza Hotel 520 South Michigan Ave Chicago IL. Houston Job Fair - May 8, 2019 - Live Hiring Event! Meet face to face with top employers hiring for Sales, Customer Service, Retail, Financial Services, Management, I.T. Government positions and more! This hiring event is FREE to Job Seekers. You are invited to attend our upcoming Job Fair, attendance is free! This will be a great opportunity to meet local, regional, and Fortune 500 Companies with immediate job openings in your area. Our events are open to executive level experienced professionals as well as entry level and recent college graduates. This is your chance to meet directly with hiring managers! Make sure to register so that companies can review your resume prior to attending the career fair. Many career opportunities include some/all of the following: - Base salary plus commission - Flexible schedule - Opportunity for advancement - Car/Gas allowance - Healthcare - Stock Options - Retirement Plans - Sales Awards/Bonuses/Trips Be prepared: Plan to take updated crisp resumes to a career fair, prepare to interview on the spot, dress to impress:… Sponsored / Hosted by: Coast to Coast Career Fairs. City: Houston. State: TX. Event Website: https://www.eventbrite.com/e/houston-job-fair-may-8-2019-job-fairs-hiring-events-in-houston-tx-tickets-52552131841. Wednesday, May 8, 2019, 11:00 AM. Sheraton Suites Houston Near The Galleria 2400 West Loop S Houston TX. San Diego Job Fair - May 8, 2019 - Live Hiring Event! Meet face to face with top employers hiring for Sales, Customer Service, Retail, Financial Services, Management, I.T. Government positions and more! This hiring event is FREE to Job Seekers. You are invited to attend our upcoming Job Fair, attendance is free! This will be a great opportunity to meet local, regional, and Fortune 500 Companies with immediate job openings in your area. Our events are open to executive level experienced professionals as well as entry level and recent college graduates. This is your chance to meet directly with hiring managers! Make sure to register so that companies can review your resume prior to attending the career fair. Many career opportunities include some/all of the following: - Base salary plus commission - Flexible schedule - Opportunity for advancement - Car/Gas allowance - Healthcare - Stock Options - Retirement Plans - Sales Awards/Bonuses/Trips Be prepared: Plan to take updated crisp resumes to a career fair, prepare to interview on the spot, dress to impress:… Sponsored / Hosted by: Coast to Coast Career Fairs. City: San Diego. State: CA. Event Website: https://www.eventbrite.com/e/san-diego-job-fair-may-8-2019-job-fairs-hiring-events-in-san-diego-ca-tickets-59277851650. Wednesday, May 8, 2019, 11:00 AM. DoubleTree by Hilton San Diego Hotel Circle 1515 Hotel Circle South San Diego CA. JOBS ARE EVERYWHERE FIND YOURS at the May 8, 2019 JOB FAIR. May 8, 2019 1-4 p.m. JobsGuide JOB FAIR Comfort Inn & Suites, 7007 Grover Street, Omaha, NE Go to www.jobfairsNebraska.com daily prior to the event and check out the list of employers who will be present and HIRING. Check out the job "postings" on the website - hundreds of great jobs listed on the website with direct links to each employer. There are jobs available NOW – go to job postings NOW. Not sure what to do at a job fair? Click on the job seeker button, and then the "Tips For Attending A Job Fair" button and watch the video about job fairs. Sponsored / Hosted by: JobsGuide LLC. City: Omaha. State: NE. Event Website: https://www.jobfairsnebraska.com/. Event Location: Comfort Inn - Omaha #7007 Grover St. Wednesday, May 8, 2019, 1:00 PM – 4:00 PM. RecruitMilitary has held 29 events in Norfolk, drawing 9,021 attendees and 1,247 exhibitors. Sponsored / Hosted by: RecruitMilitary. City: Norfolk. State: VA. Event Website: https://events.recruitmilitary.com/events/1161. Thursday, May 9, 2019. Decker Half Moone Center One Waterside Drive Norfolk, VA 23510. ATTN: Job Seekers! 100s of Jobs are up for grabs at the West Palm Beach Job Fair on May 9th! Meet one-on-one with recruiters & hiring managers who are now hiring for immediate openings! Available positions range from entry level to management, in multiple industries. Get in before these positions fill up! When you attend a JobNewsUSA.com Job Fair you will have the opportunity to: • Build your professional network. • Learn about upcoming job opportunities that haven’t been advertised yet. • Possibly walk away with a job! Some employers offer on-the-spot interviews and job offers. Pre-register now to attend! We’ll send you a reminder email one day prior to the hiring event. Tips for Job Fair Success: • Prepare your elevator speech • Dress professionally, as if attending a job interview • Display an engaging & motivated attitude to make a positive impression • Bring several copies of your updated resume or work history to the event Parking and Admission are FREE! Interested in Recruiting? Looking for quali… Sponsored / Hosted by: Job News USA. City: West Palm Beach. State: FL. Event Website: https://jobfairsnearme.com/job_fairs/05-slash-09-slash-2019-jobnewsusa-dot-com-west-palm-beach-job-fair-may-9th-may-9-2019?utm_source=jobfairsin&utm_medium=organic&utm_term=&utm_content=&utm_campaign=WPB190509. Thursday, May 9, 2019, 10:00 AM. Marriott West Palm Beach 1001 Okeechobee Boulevard West Palm Beach FL. Sponsored / Hosted by: Choice Career Fairs. City: Denver. State: CO. Event Website: https://choicecareerfairs.com/e/denver-career-fair-may-9-2019. Notes: What to expect... You'll meet face-to-face with hiring decision-makers from some of the areas top employers. Dress professionally and bring plenty of resumes, because they're here to hire. Walk in and start interviewing, it's that simple. Save time, money and effort interviewing with multiple companies in one day at one location. Many of these companies have several openings and are eager to meet with you. You're no longer just a piece of paper. Attend the career fair and get infront of decision makers.… Thursday, May 9, 2019, 11:00 AM – 2:00 PM. Embassy Suites by Hilton Denver Stapleton 4444 Havana Street Denver, CO 80239. Sponsored / Hosted by: Choice Career Fairs. City: Irvine. State: CA. Event Website: https://choicecareerfairs.com/e/orange-county-career-fair-may-9-2019. Notes: What to expect... You'll meet face-to-face with hiring decision-makers from some of the areas top employers. Dress professionally and bring plenty of resumes, because they're here to hire. Walk in and start interviewing, it's that simple. Save time, money and effort interviewing with multiple companies in one day at one location. Many of these companies have several openings and are eager to meet with you. You're no longer just a piece of paper. Attend the career fair and get infront of decision makers.… Thursday, May 9, 2019, 11:00 AM – 2:00 PM. ATRIUM HOTEL at Orange County Airport 18700 MacArthur Boulevard Irvine, CA 92612. Sponsored / Hosted by: Choice Career Fairs. City: King of Prussia. State: PA. Event Website: https://choicecareerfairs.com/e/philadelphia-career-fair-may-9-2019. Notes: What to expect... You'll meet face-to-face with hiring decision-makers from some of the areas top employers. Dress professionally and bring plenty of resumes, because they're here to hire. Walk in and start interviewing, it's that simple. Save time, money and effort interviewing with multiple companies in one day at one location. Many of these companies have several openings and are eager to meet with you. You're no longer just a piece of paper. Attend the career fair and get infront of decision makers.… Thursday, May 9, 2019, 11:00 AM – 2:00 PM. Crowne Plaza Philadelphia - Valley Forge 260 Mall Boulevard King of Prussia, PA 19406. Are you in the market for a job or a new career? Have you been sending resumes to employers and wonder why they have not got back to you? The key is being able to get in front of the right person who is hiring. At our job fair, you will meet hiring managers from the top companies in this region. Put on your best attire and dress to impress the companies that may be your next employer. At our job fair, you will be able to interview with multiple companies all in the same location on the same day, giving you a greater opportunity to get hired. Attending our career fairs will save you a lot of time and energy it takes to find a job. Preparation is key, update your resume and bring multiple copies to this hiring event. Employers send hiring decision makers to our job fairs to interview the area’s top candidates. Register today to make sure you are one of the candidates they looking to hire. Sponsored / Hosted by: Best Hire Career Fairs. City: Phoenix. State: AZ. Event Website: https://www.besthirecareerfairs.com/job-fairs/phoenix-job-fairs/. Thursday, May 9, 2019, 11:00 AM. Holiday Inn & Suites Phoenix Airport North 1515 N 44th St Phoenix AZ. Are you in the market for a job or a new career? Have you been sending resumes to employers and wonder why they have not got back to you? The key is being able to get in front of the right person who is hiring. At our job fair, you will meet hiring managers from the top companies in this region. Put on your best attire and dress to impress the companies that may be your next employer. At our job fair, you will be able to interview with multiple companies all in the same location on the same day, giving you a greater opportunity to get hired. Attending our career fairs will save you a lot of time and energy it takes to find a job. Preparation is key, update your resume and bring multiple copies to this hiring event. Employers send hiring decision makers to our job fairs to interview the area’s top candidates. Register today to make sure you are one of the candidates they looking to hire. Sponsored / Hosted by: Best Hire Career Fairs. City: San Antonio. State: TX. Event Website: https://www.besthirecareerfairs.com/job-fairs/san-antonio-job-fairs/. Thursday, May 9, 2019, 11:00 AM. Embassy Suites by Hilton San Antonio NW I-10 7750 Briaridge Drive San Antonio TX. Sponsored / Hosted by: Choice Career Fairs. City: Seattle. State: WA. Event Website: https://choicecareerfairs.com/e/seattle-career-fair-may-9-2019. Notes: What to expect... You'll meet face-to-face with hiring decision-makers from some of the areas top employers. Dress professionally and bring plenty of resumes, because they're here to hire. Walk in and start interviewing, it's that simple. Save time, money and effort interviewing with multiple companies in one day at one location. Many of these companies have several openings and are eager to meet with you. You're no longer just a piece of paper. Attend the career fair and get infront of decision makers.… Thursday, May 9, 2019, 11:00 AM – 2:00 PM. Seattle Center - Armory Lofts Corner of Thomas St and 2nd Ave N Seattle, WA 98109. As part of its Mental Health Month observance in May, the Alcohol, Drug Addiction and Mental Health Services (ADAMHS) Board of Cuyahoga County is hosting its fifth annual Behavioral Health & Human Services Career Fair. More than 30 agencies and area non-profit organizations that are part of our network will be in attendance to help people find the right career in behavioral health and human services. The event will be held on Friday, May 10, 2019 from 10:00 a.m. to 2:00 p.m. at the DoubleTree by Hilton Hotel Cleveland East Beachwood, 3663 Park East Drive, Beachwood, Ohio, 44122. Register at http://adamhs2019careerfair.eventbrite.com. Registration is encouraged to ensure that employers have enough resources for all applicants, however it is not required. Please share this information with anyone you may know that is looking for a new job or a career in behavioral health and human services. Candidates of all experience levels are encouraged to attend. Sponsored / Hosted by: ADAMHS Board of Cuyahoga County. City: Beachwood. State: OH. Event Website: http://adamhs2019careerfair.eventbrite.com/. Event Location: DoubleTree by Hilton - Beachwood #3663 Park East Dr. Friday, May 10, 2019, 10:00 AM. AlliedHealthJobCafe.com - the premier career management tool for allied health professionals - is hosting an online career fair on May 13, 2019 from 6 - 9 pm EST. Click the link to register! Once you register, you're all set. Simply log in during the event to explore exhibitor booths and chat with recruiters and employers about their job opportunities! Our career fair will focus on all specialties for the following occupations: • Physical Therapists • Occupational Therapists • Respiratory Therapists • Social Workers • Counselors/Therapists • Psychologists • Technicians/Technologists Interested in Exhibiting? Questions? Contact us today at (715) 803-6360 or via email at careerfairs@alliedhealthjobcafe.com. Sponsored / Hosted by: AlliedHealthJobCafe.com. City: Online. State: Online. Event Website: https://app.brazenconnect.com/events/XEo9r?utm_medium=website&utm_source=jobfairsin. Event Location: United States, US. Monday, May 13, 2019. Prospective Job Candidates: It’s time to make plans to participate in Region 13’s teacher job fair. This is an opportunity to meet local area recruiters to find out about exciting opportunities in Texas schools! Attire/What to bring: Professional attire is recommended. The Region 13 teacher job fair is a professional event. Please prepare accordingly. Make certain you have a minimum of 50 resumes available for the day's event. An interactive mobile app will be your resource tool during the event. Using the mobile app, job seekers will be able to see the recruiters that are onsite, find theirs locations easily, ask questions, and interact with fellow candidates. Additional interview resources will also be provided with the mobile app. The app will be available a week before the event. This job fair is also being advertised at universities in Texas and through public service announcements! Please register at: https://www4.esc13.net/hr/jobfair/ Location of Event: Education Service Cente… City: Austin. State: TX. Event Website: https://www4.esc13.net/hr/jobfair/?utm_source=jobfairsin.com. Monday, May 13, 2019, 4:00 PM – 7:00 PM. Education Service Center Region 13 5701 Springdale Road Austin TX 78723. Connect direct with employers from anywhere. Often fast turn-around time from interview to hiring. Fast & easy way to learn about jobs open NOW and education options for veterans. Sponsored / Hosted by: RecruitMilitary. City: Virtual. State: Online. Event Website: https://events.recruitmilitary.com/events/1250. Tuesday, May 14, 2019. Save time. Pack weeks of interviews into three hours. Get immediate answers to your questions about open positions and company hiring processes. Make connections. Shake hands, make eye contact, and tout your skills, experience and education. Gain access to a variety of companies and make instant connections with key hiring decision makers. Put your resume directly into their hands. Learn from the pros. Our expert career coach from Catalyst Career Group will offer a free, on-site career fair orientation. Upon arrival, get an overview of exhibiting companies. Find out how to navigate the career fair and identify which companies to approach. Learn career fair best practices: Networking your way to a new career Creating a powerful networking introduction Distinguishing yourself from competing job candidates Admission is FREE to all jobseekers! Positions regularly recruited for include: Sales, Customer Service, Call Center, Management, General Business, Marketing, Retail,… City: Des Plaines. State: IL. Event Website: https://www.eventbrite.com/e/chicago-tribune-career-fair-tickets-54703673159. Tuesday, May 14, 2019, 10:00 AM. Fountain Blue Banquets & Conference Center 2300 Mannheim Road Des Plaines IL. ATTN: Job Seekers! 100s of Jobs are up for grabs at the Columbus Job Fair on May 14th! Meet one-on-one with recruiters & hiring managers who are now hiring for immediate openings! Available positions range from entry level to management, in multiple industries. Get in before these positions fill up! When you attend a JobNewsUSA.com Job Fair you will have the opportunity to: • Build your professional network. • Learn about upcoming job opportunities that haven’t been advertised yet. • Possibly walk away with a job! Some employers offer on-the-spot interviews and job offers. Pre-register now to attend! We’ll send you a reminder email one day prior to the hiring event. Tips for Job Fair Success: • Prepare your elevator speech • Dress professionally, as if attending a job interview • Display an engaging & motivated attitude to make a positive impression • Bring several copies of your updated resume or work history to the event Parking and Admission are FREE! Interested in Recruiting? Lookin… Sponsored / Hosted by: Job News USA. City: Columbus. State: OH. Event Website: https://jobfairsnearme.com/job_fairs/05-slash-14-slash-2019-jobnewsusa-dot-com-columbus-job-fair-may-14th-may-14-2019?utm_source=jobfairsin&utm_medium=organic&utm_term=&utm_content=&utm_campaign=COL190514. Tuesday, May 14, 2019, 10:00 AM. The Greek Orthodox Cathedral Social Hall 555 North High Street Columbus OH. ATTN: Job Seekers! 100s of Jobs are up for grabs at the Lakeland Job Fair on May 14th! Meet one-on-one with recruiters & hiring managers who are now hiring for immediate openings! Available positions range from entry level to management, in multiple industries. Get in before these positions fill up! When you attend a JobNewsUSA.com Job Fair you will have the opportunity to: • Build your professional network. • Learn about upcoming job opportunities that haven’t been advertised yet. • Possibly walk away with a job! Some employers offer on-the-spot interviews and job offers. Pre-register now to attend! We’ll send you a reminder email one day prior to the hiring event. Tips for Job Fair Success: • Prepare your elevator speech • Dress professionally, as if attending a job interview • Display an engaging & motivated attitude to make a positive impression • Bring several copies of your updated resume or work history to the event Parking and Admission are FREE! Interested in Recruiting? Lookin… Sponsored / Hosted by: Job News USA. City: Lakeland. State: FL. Event Website: https://jobfairsnearme.com/job_fairs/05-slash-14-slash-2019-job-news-lakeland-job-fair-may-14th-may-14-2019?utm_source=jobfairsin&utm_medium=organic&utm_term=&utm_content=&utm_campaign=LAK190514. Event Location: RP Funding Center - Lakeland #701 W Lime St. Tuesday, May 14, 2019, 10:00 AM. Sponsored / Hosted by: cataylst career group. City: Des Plaines. State: IL. Event Website: https://catalystcareergroup.com/event/chicago-tribune-5-14-19/. Tuesday, May 14, 2019, 10:00 AM – 1:00 PM. Fountain Blue Banquets & Conference Center 2300 Mannheim Road Des Plaines, IL 60018. Boston Job Fair - May 14, 2019 - Live Hiring Event! Meet face to face with top employers hiring for Sales, Customer Service, Retail, Financial Services, Management, I.T. Government positions and more! This hiring event is FREE to Job Seekers. You are invited to attend our upcoming Job Fair, attendance is free! This will be a great opportunity to meet local, regional, and Fortune 500 Companies with immediate job openings in your area. Our events are open to executive level experienced professionals as well as entry level and recent college graduates. This is your chance to meet directly with hiring managers! Make sure to register so that companies can review your resume prior to attending the career fair. Many career opportunities include some/all of the following: - Base salary plus commission - Flexible schedule - Opportunity for advancement - Car/Gas allowance - Healthcare - Stock Options - Retirement Plans - Sales Awards/Bonuses/Trips Be prepared: Plan to take updated crisp resumes to a career fair, prepare to interview on the spot, dress to impress:… Sponsored / Hosted by: Coast to Coast Career Fairs. City: Brookline. State: MA. Event Website: https://www.eventbrite.com/e/boston-job-fair-may-14-2019-job-fairs-hiring-events-in-boston-ma-tickets-49010806642. Tuesday, May 14, 2019, 11:00 AM. The Inn at Brookline 1200 Beacon St. Brookline MA. Newark Job Fair - May 14, 2019 - Live Hiring Event! Meet face to face with top employers hiring for Sales, Customer Service, Retail, Financial Services, Management, I.T. Government positions and more! This hiring event is FREE to Job Seekers. You are invited to attend our upcoming Job Fair, attendance is free! This will be a great opportunity to meet local, regional, and Fortune 500 Companies with immediate job openings in your area. Our events are open to executive level experienced professionals as well as entry level and recent college graduates. This is your chance to meet directly with hiring managers! Make sure to register so that companies can review your resume prior to attending the career fair. Many career opportunities include some/all of the following: - Base salary plus commission - Flexible schedule - Opportunity for advancement - Car/Gas allowance - Healthcare - Stock Options - Retirement Plans - Sales Awards/Bonuses/Trips Be prepared: Plan to take updated crisp resumes to a career fair, prepare to interview on the spot, dress to impress:… Sponsored / Hosted by: Coast to Coast Career Fairs. City: Newark. State: NJ. Event Website: https://www.eventbrite.com/e/newark-job-fair-may-14-2019-job-fairs-hiring-events-in-newark-nj-tickets-49118171774. Tuesday, May 14, 2019, 11:00 AM. Ramada Plaza Newark Liberty International Airport 160A Frontage Rd Newark NJ. South Jersey Job Fair - May 14, 2019 - Live Hiring Event! Meet face to face with top employers hiring for Sales, Customer Service, Retail, Financial Services, Management, I.T. Government positions and more! This hiring event is FREE to Job Seekers. You are invited to attend our upcoming Job Fair, attendance is free! This will be a great opportunity to meet local, regional, and Fortune 500 Companies with immediate job openings in your area. Our events are open to executive level experienced professionals as well as entry level and recent college graduates. This is your chance to meet directly with hiring managers! Make sure to register so that companies can review your resume prior to attending the career fair. Many career opportunities include some/all of the following: - Base salary plus commission - Flexible schedule - Opportunity for advancement - Car/Gas allowance - Healthcare - Stock Options - Retirement Plans - Sales Awards/Bonuses/Trips Be prepared: Plan to take updated crisp resumes to a career fair, prepare to interview on the spot, dress to impress:… Sponsored / Hosted by: Coast to Coast Career Fairs. City: Cherry Hill. State: NJ. Event Website: https://www.eventbrite.com/e/south-jersey-job-fair-may-14-2019-job-fairs-hiring-events-in-cherry-hill-nj-tickets-49119007273. Tuesday, May 14, 2019, 11:00 AM. Holiday Inn Philadelphia - Cherry Hill 2175 Marlton Pike West Cherry Hill NJ. Meet face to face with multiple decision makers hiring business development, sales and sales management professionals across many industries at companies ranging from small local businesses clear on up to Fortune 500 corporations. Our events are open to executive level experienced professionals as well as entry level and recent college graduates. This is your chance to meet and shake hands with hiring managers! Chicago West Career Fair May 14th, 2019 – 6pm Sharp DoubleTree by Hilton Chicago – Downers Grove 2111 Butterfield Rd. Downers Grove, IL 60515 Job seekers: Register to attend by submitting your resume http://www.unitedcareerfairs.com Employers: Contact us at 847-428-1118 or go to http://www.unitedcareerfairs.com for more info. Sponsored / Hosted by: United Career Fairs. City: Downers Grove. State: IL. Event Website: http://www.unitedcareerfairs.com. Tuesday, May 14, 2019, 6:00 PM. DoubleTree by Hilton Chicago – Downers Grove 2111 Butterfield Rd. Downers Grove, IL. Meet face to face with multiple decision makers hiring business development, sales and sales management professionals across many industries at companies ranging from small local businesses clear on up to Fortune 500 corporations. Our events are open to executive level experienced professionals as well as entry level and recent college graduates. This is your chance to meet and shake hands with hiring managers! Raleigh Durham Career Fair May 14th, 2019 – 6pm Sharp Sheraton Imperial Hotel 4700 Emperor Blvd. I-40 at Exit 282 Durham, NC 27703 Job seekers: Register to attend by submitting your resume http://www.unitedcareerfairs.com Employers: Contact us at 847-428-1118 or go to http://www.unitedcareerfairs.com for more info. Sponsored / Hosted by: United Career Fairs. City: Durham. State: NC. Event Website: http://www.unitedcareerfairs.com. Tuesday, May 14, 2019, 6:00 PM. Sheraton Imperial Hotel 4700 Emperor Blvd. Durham, NC. ATTN: Job Seekers! 100s of Jobs are up for grabs at the Denver Job Fair on May 15th! Meet one-on-one with recruiters & hiring managers who are now hiring for immediate openings! Available positions range from entry level to management, in multiple industries. Get in before these positions fill up! When you attend a JobNewsUSA.com Job Fair you will have the opportunity to: • Build your professional network. • Learn about upcoming job opportunities that haven’t been advertised yet. • Possibly walk away with a job! Some employers offer on-the-spot interviews and job offers. Pre-register now to attend! We’ll send you a reminder email one day prior to the hiring event. Tips for Job Fair Success: • Prepare your elevator speech • Dress professionally, as if attending a job interview • Display an engaging & motivated attitude to make a positive impression • Bring several copies of your updated resume or work history to the event Parking and Admission are FREE! Interested in Recruiting? Looking… Sponsored / Hosted by: Job News USA. City: Denver. State: CA. Event Website: https://jobfairsnearme.com/job_fairs/05-slash-15-slash-2019-jobnewsusa-dot-com-denver-job-fair-may-15th-may-15-2019?utm_source=jobfairsin&utm_medium=organic&utm_term=&utm_content=&utm_campaign=DEN190515. Event Location: DoubleTree by Hilton - Denver #3203 Quebec Street. Wednesday, May 15, 2019, 10:00 AM. ATTN: Job Seekers! 100s of Jobs are up for grabs at the Knoxville Job Fair on May 15th! Meet one-on-one with recruiters & hiring managers who are now hiring for immediate openings! Available positions range from entry level to management, in multiple industries. Get in before these positions fill up! When you attend a JobNewsUSA.com Job Fair you will have the opportunity to: • Build your professional network. • Learn about upcoming job opportunities that haven’t been advertised yet. • Possibly walk away with a job! Some employers offer on-the-spot interviews and job offers. Pre-register now to attend! We’ll send you a reminder email one day prior to the hiring event. Tips for Job Fair Success: • Prepare your elevator speech • Dress professionally, as if attending a job interview • Display an engaging & motivated attitude to make a positive impression • Bring several copies of your updated resume or work history to the event Parking and Admission are FREE! Interested in Recruiting? Looki… Sponsored / Hosted by: Job News USA. City: Knoxville. State: TN. Event Website: https://jobfairsnearme.com/job_fairs/05-slash-15-slash-2019-jobnewsusa-dot-com-knoxville-job-fair-may-15th-may-15-2019?utm_source=jobfairsin&utm_medium=organic&utm_term=&utm_content=&utm_campaign=KNX190515. Wednesday, May 15, 2019, 10:00 AM. Grande Event Center 5441 Clinton Highway Knoxville TN. Are you in the market for a job or a new career? Have you been sending resumes to employers and wonder why they have not got back to you? The key is being able to get in front of the right person who is hiring. At our job fair, you will meet hiring managers from the top companies in this region. Put on your best attire and dress to impress the companies that may be your next employer. At our job fair, you will be able to interview with multiple companies all in the same location on the same day, giving you a greater opportunity to get hired. Attending our career fairs will save you a lot of time and energy it takes to find a job. Preparation is key, update your resume and bring multiple copies to this hiring event. Employers send hiring decision makers to our job fairs to interview the area’s top candidates. Register today to make sure you are one of the candidates they looking to hire. Sponsored / Hosted by: Best Hire Career Fairs. City: Arlington. State: TX. Event Website: https://www.besthirecareerfairs.com/job-fairs/arlington-job-fairs/. Wednesday, May 15, 2019, 11:00 AM. Holiday Inn Arlington Ne-Rangers Ballpark 1311 Wet N Wild Way Arlington TX. Are you in the market for a job or a new career? Have you been sending resumes to employers and wonder why they have not got back to you? The key is being able to get in front of the right person who is hiring. At our job fair, you will meet hiring managers from the top companies in this region. Put on your best attire and dress to impress the companies that may be your next employer. At our job fair, you will be able to interview with multiple companies all in the same location on the same day, giving you a greater opportunity to get hired. Attending our career fairs will save you a lot of time and energy it takes to find a job. Preparation is key, update your resume and bring multiple copies to this hiring event. Employers send hiring decision makers to our job fairs to interview the area’s top candidates. Register today to make sure you are one of the candidates they looking to hire. Sponsored / Hosted by: Best Hire Career Fairs. City: Charlotte. State: NC. Event Website: https://www.besthirecareerfairs.com/job-fairs/charlotte-job-fairs/. Wednesday, May 15, 2019, 11:00 AM. Hilton Charlotte University 8629 JM Keynes Dr. Charlotte NC. Are you in the market for a job or a new career? Have you been sending resumes to employers and wonder why they have not got back to you? The key is being able to get in front of the right person who is hiring. At our job fair, you will meet hiring managers from the top companies in this region. Put on your best attire and dress to impress the companies that may be your next employer. At our job fair, you will be able to interview with multiple companies all in the same location on the same day, giving you a greater opportunity to get hired. Attending our career fairs will save you a lot of time and energy it takes to find a job. Preparation is key, update your resume and bring multiple copies to this hiring event. Employers send hiring decision makers to our job fairs to interview the area’s top candidates. Register today to make sure you are one of the candidates they looking to hire. Sponsored / Hosted by: Best Hire Career Fairs. City: Raleigh. State: NC. Event Website: https://www.besthirecareerfairs.com/event-schedule/raleigh-job-fair/edate/2019-05-15. Wednesday, May 15, 2019, 11:00 AM – 2:00 PM. DoubleTree By Hilton Raleigh Brownstone - University 1707 Hillsborough Street Raleigh, NC 27605. Sponsored / Hosted by: Choice Career Fairs. City: West Palm Beach. State: FL. Event Website: https://choicecareerfairs.com/e/west-palm-beach-career-fair-may-15-2019. Notes: What to expect... You'll meet face-to-face with hiring decision-makers from some of the areas top employers. Dress professionally and bring plenty of resumes, because they're here to hire. Walk in and start interviewing, it's that simple. Save time, money and effort interviewing with multiple companies in one day at one location. Many of these companies have several openings and are eager to meet with you. You're no longer just a piece of paper. Attend the career fair and get infront of decision makers.… Wednesday, May 15, 2019, 11:00 AM – 2:00 PM. Hilton Palm Beach Airport 150 Australian Avenue West Palm Beach, FL 33406. Sponsored / Hosted by: Central Florida Employment Council. City: Orlando. State: FL. Event Website: https://www.cfec.org/job-fairs?utm_source=jobfairsin.com. Notes: Central Florida has amazing employment opportunities! If you are job searching, find your next employer at Central Florida Employment Council's (CFEC) job fair in Orlando, Florida, from 12-4 pm at the Central Florida Fair Expo Park, 4603 W Colonial Drive, Orlando, FL 32808. Over 100+ companies offering thousands of career openings in various industries and resources on hand to assist your job search. PROFESSIONAL DRESS, bring resumes, free admission/parking, and no children, please. Register as a job seeker… Wednesday, May 15, 2019, 12:00 PM – 4:00 PM. Central Florida Fair Expo Park 4603 W Colonial Drive, Orlando, FL 32808. Come prepared for an interview, with your resume. Plenty of positions available for the 2019-2020 school year for: Transportation, Child Nutrition, Maintenance, Teacher Assistant, and Teachers! City: Jacksonville. State: NC. Event Website: https://www.onslow.k12.nc.us/. Wednesday, May 15, 2019, 4:00 PM – 4:30 PM. White Oak High School 1001 Piney Green Rd. Jacksonville NC. If you have completed an educator preparatory program, learn how to obtain an NC educator license and a position in the Onslow County School System is holding a presentation in the small auditorium at 4PM. Representatives from selected schools with EXPECTED VACANCIES for the 2019-2020 school year will also be available in the gym between 4:00 to 6:30 P.M. City: Jacksonville. State: NC. Event Website: https://www.onslow.k12.nc.us/. Wednesday, May 15, 2019, 4:00 PM – 6:30 PM. White Oak High School 1001 Piney Green Rd. Jacksonville NC. Meet face to face with multiple decision makers hiring business development, sales and sales management professionals across many industries at companies ranging from small local businesses clear on up to Fortune 500 corporations. Our events are open to executive level experienced professionals as well as entry level and recent college graduates. This is your chance to meet and shake hands with hiring managers! Charlotte Career Fair May 15th, 2019 – 6pm Sharp Crowne Plaza Executive Park 5700 Westpark Drive Charlotte, NC 28217 Job seekers: Register to attend by submitting your resume http://www.unitedcareerfairs.com Employers: Contact us at 847-428-1118 or go to http://www.unitedcareerfairs.com for more info. Sponsored / Hosted by: United Career Fairs. City: Charlotte. State: NC. Event Website: http://www.unitedcareerfairs.com. Wednesday, May 15, 2019, 6:00 PM. Crowne Plaza Executive Park 5700 Westpark Drive Charlotte, NC. Meet face to face with multiple decision makers hiring business development, sales and sales management professionals across many industries at companies ranging from small local businesses clear on up to Fortune 500 corporations. Our events are open to executive level experienced professionals as well as entry level and recent college graduates. This is your chance to meet and shake hands with hiring managers! Indianapolis Career Fair May 15th, 2019 – 6pm Sharp Embassy Suites by Hilton Indianapolis North 3912 Vincennes Road Indianapolis, IN 46268 Job seekers: Register to attend by submitting your resume http://www.unitedcareerfairs.com Employers: Contact us at 847-428-1118 or go to http://www.unitedcareerfairs.com for more info. Sponsored / Hosted by: United Career Fairs. City: Indianapolis. State: IN. Event Website: http://www.unitedcareerfairs.com. Wednesday, May 15, 2019, 6:00 PM. Embassy Suites by Hilton Indianapolis North 3912 Vincennes Road Indianapolis, IN. RecruitMilitary has held 5 events in Omaha, drawing 577 attendees and 136 exhibitors. Sponsored / Hosted by: RecruitMilitary. City: Omaha. State: NE. Event Website: https://events.recruitmilitary.com/events/1163. Thursday, May 16, 2019. CHI Health Center 455 North 10th Street Omaha , NE 68102. Description Join us for our FREE job fair at Hope Lutheran Church in Palm Desert. Looking for a job? Look no further! Join us on Thursday, May 16, 2019, at Hope Lutheran Church for one of our legendary Job Fairs. This results-driven event is designed to get you in front of the top employers in your community. As a bonus, it's free for job seekers! We typically have 20-30 different employers at the job fairs. We let people into the event in smaller numbers so everyone can talk to the employers 1-on-1. We hope to see you there! FAQs What should I bring into the event? We recommend you bring multiple copies of your resume to hand out. How should I dress? We recommend you dress professionally. Think of the job fair as if you were attending an interview. You will be talking to many different companies who are looking to hire. Some companies may even want to interview you while at the event! How do I make a request for special accommodations? All of our locations are ADA accessible. If you have any othe… Sponsored / Hosted by: JobsNow.org. City: Palm Desert, 92260. State: CA. Event Website: https://www.eventbrite.com/e/free-palm-desert-job-fair-jobsnoworg-registration-54984347664. Thursday, May 16, 2019, 9:00 AM. Hope Lutheran Church 45900 Portola Ave. Palm Desert, 92260, CA. Join us for our FREE job fair at Hope Lutheran Church in Palm Desert. Looking for a job? Look no further! Join us on Thursday, May 16, 2019, at Hope Lutheran Church for one of our legendary Job Fairs. This results-driven event is designed to get you in front of the top employers in your community. As a bonus, it's free for job seekers! We typically have 20-30 different employers at the job fairs. We let people into the event in smaller numbers so everyone can talk to the employers 1-on-1. We hope to see you there! Register now @JobsNow.org. Sponsored / Hosted by: jobsnow.org. City: Palm Desert. State: CA. Event Website: http://jobsnow.org/. Thursday, May 16, 2019, 9:00 AM – 12:00 PM. Hope Lutheran Church 45900 Portola Ave. Palm Desert CA 92260. WESTMARC and Career Connectors are proud to present the West Valley Healthcare Career Expo in conjunction with Arizona@Work and Goodwill of Central & Northern Arizona. This hiring event is a collaboration of all major healthcare organizations in the Phoenix West Valley to connect current and future workforce with employers and education opportunities. Sponsored / Hosted by: Career Connectors. City: Avondale. State: AZ. Event Website: https://careerconnectors.org/healthcare-career-expo/?utm_source=jobfairsin.com. Thursday, May 16, 2019, 10:00 AM. Avondale Sports Center 755 N 114th Ave Avondale AZ. Sponsored / Hosted by: Choice Career Fairs. City: Albuquerque. State: NM. Event Website: https://choicecareerfairs.com/e/albuquerque-career-fair-may-16-2019. Notes: What to expect... You'll meet face-to-face with hiring decision-makers from some of the areas top employers. Dress professionally and bring plenty of resumes, because they're here to hire. Walk in and start interviewing, it's that simple. Save time, money and effort interviewing with multiple companies in one day at one location. Many of these companies have several openings and are eager to meet with you. You're no longer just a piece of paper. Attend the career fair and get infront of decision makers.… Thursday, May 16, 2019, 11:00 AM – 2:00 PM. Albuquerque Marriott 2101 Louisiana Boulevard NE Albuquerque, NM 87110. COME AND MEET WITH EMPLOYERS! Museum of Science, CVS, Kayem Foods, State Of Mass Human Resources, MASS DOT/MBTA, RHD, ACE Employment, Enterprise Rental Car, Cambridge Health Alliance, Goodwill, VPNE PARKING, McLean Hospital, MassPort, Maximus, New York Life, Partners Healthcare, Perkins School for the Blind, Allied Universal, Enterprise Rental Car, International Shoppes AND MANY MORE! Parking Information On-street parking is available in the front of Town Hall on Massachusetts Avenue and on Academy Street (which borders the Town Hall). If you need and interpreter or an accommodation please contact Gregory.Ames@mrc.state.ma.us. Sponsored / Hosted by: MRC. City: Arlington. State: MA. Event Website: http://mass.gov/mrc. Thursday, May 16, 2019, 11:00 AM. Arlington Town Hall 730 Massachusetts Avenue Arlington MA. Sponsored / Hosted by: Choice Career Fairs. City: Chicago. State: IL. Event Website: https://choicecareerfairs.com/e/chicago-career-fair-may-16-2019. Notes: What to expect... You'll meet face-to-face with hiring decision-makers from some of the areas top employers. Dress professionally and bring plenty of resumes, because they're here to hire. Walk in and start interviewing, it's that simple. Save time, money and effort interviewing with multiple companies in one day at one location. Many of these companies have several openings and are eager to meet with you. You're no longer just a piece of paper. Attend the career fair and get infront of decision makers.… Thursday, May 16, 2019, 11:00 AM – 2:00 PM. The Congress Plaza Hotel 520 South Michigan Ave Chicago, IL 60605. Sponsored / Hosted by: Choice Career Fairs. City: Fort Worth. State: TX. Event Website: https://choicecareerfairs.com/e/dallas-career-fair-may-16-2019. Notes: What to expect... You'll meet face-to-face with hiring decision-makers from some of the areas top employers. Dress professionally and bring plenty of resumes, because they're here to hire. Walk in and start interviewing, it's that simple. Save time, money and effort interviewing with multiple companies in one day at one location. Many of these companies have several openings and are eager to meet with you. You're no longer just a piece of paper. Attend the career fair and get infront of decision makers.… Thursday, May 16, 2019, 11:00 AM – 2:00 PM. Radisson Hotel Fort Worth 2540 Meacham Blvd Fort Worth, TX 76106. Sponsored / Hosted by: Choice Career Fairs. City: Melville. State: NY. Event Website: https://choicecareerfairs.com/e/long-island-career-fair-may-16-2019. Notes: What to expect... You'll meet face-to-face with hiring decision-makers from some of the areas top employers. Dress professionally and bring plenty of resumes, because they're here to hire. Walk in and start interviewing, it's that simple. Save time, money and effort interviewing with multiple companies in one day at one location. Many of these companies have several openings and are eager to meet with you. You're no longer just a piece of paper. Attend the career fair and get infront of decision makers.… Thursday, May 16, 2019, 11:00 AM – 2:00 PM. Melville Marriott 1350 Walt Whitman Rd Melville, NY 11747. Are you in the market for a job or a new career? Have you been sending resumes to employers and wonder why they have not got back to you? The key is being able to get in front of the right person who is hiring. At our job fair, you will meet hiring managers from the top companies in this region. Put on your best attire and dress to impress the companies that may be your next employer. At our job fair, you will be able to interview with multiple companies all in the same location on the same day, giving you a greater opportunity to get hired. Attending our career fairs will save you a lot of time and energy it takes to find a job. Preparation is key, update your resume and bring multiple copies to this hiring event. Employers send hiring decision makers to our job fairs to interview the area’s top candidates. Register today to make sure you are one of the candidates they looking to hire. Sponsored / Hosted by: Best Hire Career Fairs. City: New York. State: NY. Event Website: https://www.besthirecareerfairs.com/job-fairs/new-york-job-fairs/. Thursday, May 16, 2019, 11:00 AM. The Watson Hotel 440 West 57th St New York NY. Are you in the market for a job or a new career? Have you been sending resumes to employers and wonder why they have not got back to you? The key is being able to get in front of the right person who is hiring. At our job fair, you will meet hiring managers from the top companies in this region. Put on your best attire and dress to impress the companies that may be your next employer. At our job fair, you will be able to interview with multiple companies all in the same location on the same day, giving you a greater opportunity to get hired. Attending our career fairs will save you a lot of time and energy it takes to find a job. Preparation is key, update your resume and bring multiple copies to this hiring event. Employers send hiring decision makers to our job fairs to interview the area’s top candidates. Register today to make sure you are one of the candidates they looking to hire. Sponsored / Hosted by: Best Hire Career Fairs. City: SanDiego. State: CA. Event Website: https://www.besthirecareerfairs.com/event-schedule/san-diego-job-fair/edate/2019-05-16. Thursday, May 16, 2019, 11:00 AM – 2:00 PM. Sheraton Mission Valley San Diego Hotel 1433 Camino del Rio South San Diego, CA 92108. Sponsored / Hosted by: Choice Career Fairs. City: San Francisco. State: CA. Event Website: https://choicecareerfairs.com/e/san-francisco-career-fair-may-16-2019. Notes: What to expect... You'll meet face-to-face with hiring decision-makers from some of the areas top employers. Dress professionally and bring plenty of resumes, because they're here to hire. Walk in and start interviewing, it's that simple. Save time, money and effort interviewing with multiple companies in one day at one location. Many of these companies have several openings and are eager to meet with you. You're no longer just a piece of paper. Attend the career fair and get infront of decision makers.… Thursday, May 16, 2019, 11:00 AM – 2:00 PM. Holiday Inn Golden Gateway 1500 Van Ness Avenue San Francisco, CA 94109. Are you in the market for a job or a new career? Have you been sending resumes to employers and wonder why they have not got back to you? The key is being able to get in front of the right person who is hiring. At our job fair, you will meet hiring managers from the top companies in this region. Put on your best attire and dress to impress the companies that may be your next employer. At our job fair, you will be able to interview with multiple companies all in the same location on the same day, giving you a greater opportunity to get hired. Attending our career fairs will save you a lot of time and energy it takes to find a job. Preparation is key, update your resume and bring multiple copies to this hiring event. Employers send hiring decision makers to our job fairs to interview the area’s top candidates. Register today to make sure you are one of the candidates they looking to hire. Sponsored / Hosted by: Best Hire Career Fairs. City: San Francisco. State: CA. Event Website: https://www.besthirecareerfairs.com/job-fairs/san-francisco-job-fairs/. Thursday, May 16, 2019, 11:00 AM. KIMPTON SIR FRANCIS DRAKE HOTEL 450 Powell St San Francisco CA. Meet face to face with multiple decision makers hiring business development, sales and sales management professionals across many industries at companies ranging from small local businesses clear on up to Fortune 500 corporations. Our events are open to executive level experienced professionals as well as entry level and recent college graduates. This is your chance to meet and shake hands with hiring managers! Cincinnati Career Fair May 16th, 2019 – 6pm Sharp Courtyard by Marriott Cincinnati Midtown/Rookwood 3813 Edwards Road Cincinnati, OH 45209 Job seekers: Register to attend by submitting your resume http://www.unitedcareerfairs.com Employers: Contact us at 847-428-1118 or go to http://www.unitedcareerfairs.com for more info. Sponsored / Hosted by: United Career Fairs. City: Cincinnati. State: OH. Event Website: http://www.unitedcareerfairs.com. Thursday, May 16, 2019, 6:00 PM. Courtyard by Marriott Cincinnati Midtown/Rookwood 3813 Edwards Road Cincinnati, OH. You are cordially invited to the annual spring Job Fair of the SUNY Bronx EOC, sponsored by NYC Council Member Vanessa L. Gibson, NYS Senator Gustavo Rivera, NYS Assembly Member Michael Blake, NYS Senator Luis R. Sepulveda, NYS Assembly Member Karines Reyes & 1199 SEIU Healthcare Education Project. Our aim is to open doors of opportunities for the 21st century. This year we are expecting over 40 employers seeking qualified candidates for a variety of employment opportunities. Some of the industries are: Healthcare, Direct Support, Technology, Civil Service, Security, Education and more. Sponsored / Hosted by: SUNY Bronx EOC. City: Bronx. State: NY. Event Website: http://www.bronxeoc.org/jobfair.html?utm_source=jobfairsin.com. Friday, May 17, 2019, 10:00 AM – 2:00 PM. SUNY Bronx EOC 1666 Bathgate Avenue Bronx NY. Meet face to face with multiple decision makers hiring business development, sales and sales management professionals across many industries at companies ranging from small local businesses clear on up to Fortune 500 corporations. Our events are open to executive level experienced professionals as well as entry level and recent college graduates. This is your chance to meet and shake hands with hiring managers! Seattle Career Fair May 20th, 2019 – 6pm Sharp Sheraton Bellevue Hotel 100 112th Ave. NE Bellevue, WA 98004 Job seekers: Register to attend by submitting your resume http://www.unitedcareerfairs.com Employers: Contact us at 847-428-1118 or go to http://www.unitedcareerfairs.com for more info. Sponsored / Hosted by: United Career Fairs. City: Bellevue. State: WA. Event Website: http://www.unitedcareerfairs.com. Monday, May 20, 2019, 6:00 PM. Sheraton Bellevue Hotel 100 112th Ave. NE Bellevue, WA. Companies Attending FEDDATA Leidos Mission Essential An active CI or FS Polygraph is required for admittance. Resume Reviews (2:00 pm to 6:00 pm) These are quick 5-minute sessions with Nancy Gober. Offered on a first-come, first-serve basis, they do fill up fast. Tips for a Successful Job Fair Be sure to register and upload your resume before the job fair. Recruiters receive a pre-registrant resume file 3 days before the job fair and may contact you to set up an interview. Don't be discouraged if you don't hear from an employer before the event, as not all employers will have time to review resumes beforehand. A job fair is a networking event filled with hundreds of people with information about jobs. You're here to network with job seekers as well as employers to move your job search forward by making connections and gathering information. Get in the right frame of mind. If you ask recruiters about the importance of attitude in a job search on a scale of 1 to 10, most of them answer 11. We all get nervo… City: Linthicum. State: MD. Event Website: https://clearedjobs.net/job-fair/fair/95. Tuesday, May 21, 2019. DoubleTree BWI 890 Elkridge Landing Road Linthicum, Maryland. Join Us at Our Customer Service Virtual Career Fair Tuesday, May 21, 2019 from 11:00am - 1:00pm Connect from your smartphone, tablet, or computer to chat with recruiters and learn more about our exciting Customer Service Advocate opportunities! Sponsored / Hosted by: UnitedHealth Group. City: Online. State: Online. Event Website: https://app-a.brazenconnect.com/events/XpWEd?utm_medium=Email&utm_source=tas&utm_content=blast&utm_campaign=outreach. Tuesday, May 21, 2019. Virtual for Minnetonka MN. Join Us at Our Customer Service Virtual Career Fair Tuesday, May 21, 2019 from 11:00am - 1:00pm Connect from your smartphone, tablet, or computer to chat with recruiters and learn more about our exciting Customer Service Advocate opportunities! Sponsored / Hosted by: UnitedHealth Group. City: Minnetonka. State: MN. Event Website: https://app-a.brazenconnect.com/events/XpWEd?utm_medium=Email&utm_source=tas&utm_content=blast&utm_campaign=outreach. Tuesday, May 21, 2019. Virtual for Minnetonka MN. JobsNow.org is an exciting new initiative powered by INCIGHT. For more than a decade, INCIGHT has hosted many successful job fairs that average 300 candidates in attendance. In recent years, turnout has reached 500 or more. As we grow, it seems appropriate that we brand an initiative dedicated solely to the mission of helping employers find valuable recruits to join their team. Since 2004, INCIGHT has successfully assisted people in their search for sustainable employment. INCIGHT promotes inclusion in the workplace and partners with businesses and the community to connect skilled and talented candidates with employers that are interested in diversifying their workforce. JobsNow.org and INCIGHT offer high-energy employment programs that achieve exceptional results for candidates and employers. Joblessness and long-term unemployment is detrimental to the individual, the family and society. A job provides a person with hope, purpose and resources. Our programs instill empowerment and expectation that helps pe… Sponsored / Hosted by: JobsNow.org. City: Happy Valley, 97086. State: OR. Event Website: https://www.eventbrite.com/e/free-happy-valley-job-fair-jobsnoworg-registration-54785773724. Tuesday, May 21, 2019, 10:00 AM. New Hope Community Church 11731 SE Stevens Rd. Happy Valley, 97086, OR. Sponsored / Hosted by: cataylst career group. City: San Diego. State: CA. Event Website: https://catalystcareergroup.com/event/san-diego-5-21-19/. Tuesday, May 21, 2019, 10:00 AM – 1:00 PM. Embassy Suites by Hilton, San Diego/La Jolla 4550 La Jolla Village Drive San Diego, CA 92122. Raleigh Job Fair - May 21, 2019 - Live Hiring Event! Meet face to face with top employers hiring for Sales, Customer Service, Retail, Financial Services, Management, I.T. Government positions and more! This hiring event is FREE to Job Seekers. You are invited to attend our upcoming Job Fair, attendance is free! This will be a great opportunity to meet local, regional, and Fortune 500 Companies with immediate job openings in your area. Our events are open to executive level experienced professionals as well as entry level and recent college graduates. This is your chance to meet directly with hiring managers! Make sure to register so that companies can review your resume prior to attending the career fair. Many career opportunities include some/all of the following: - Base salary plus commission - Flexible schedule - Opportunity for advancement - Car/Gas allowance - Healthcare - Stock Options - Retirement Plans - Sales Awards/Bonuses/Trips Be prepared: Plan to take updated crisp resumes to a career fair, prepare to interview on the spot, dress to impress:… Sponsored / Hosted by: Coast to Coast Career Fairs. City: Raleigh. State: NC. Event Website: https://www.eventbrite.com/e/raleigh-job-fair-may-21-2019-job-fairs-hiring-events-in-raleigh-nc-tickets-49629407895. Tuesday, May 21, 2019, 11:00 AM. Holiday Inn Raleigh Downtown 320 Hillsborough St Raleigh NC. Meet face to face with multiple decision makers hiring business development, sales and sales management professionals across many industries at companies ranging from small local businesses clear on up to Fortune 500 corporations. Our events are open to executive level experienced professionals as well as entry level and recent college graduates. This is your chance to meet and shake hands with hiring managers! Austin Career Fair May 21st, 2019 – 6pm Sharp Crowne Plaza Austin Midtown 6121 North I-35 Austin, TX 78752 Job seekers: Register to attend by submitting your resume http://www.unitedcareerfairs.com Employers: Contact us at 847-428-1118 or go to http://www.unitedcareerfairs.com for more info. Sponsored / Hosted by: United Career Fairs. City: Austin. State: TX. Event Website: http://www.unitedcareerfairs.com. Tuesday, May 21, 2019, 6:00 PM. Crowne Plaza Austin Midtown 6121 North I-35 Austin, TX. Meet face to face with multiple decision makers hiring business development, sales and sales management professionals across many industries at companies ranging from small local businesses clear on up to Fortune 500 corporations. Our events are open to executive level experienced professionals as well as entry level and recent college graduates. This is your chance to meet and shake hands with hiring managers! Baltimore Career Fair May 21st, 2019 – 6pm Sharp Sheraton Columbia Town Center Hotel 10207 Wincopin Circle Columbia, MD 21044 Job seekers: Register to attend by submitting your resume http://www.unitedcareerfairs.com Employers: Contact us at 847-428-1118 or go to http://www.unitedcareerfairs.com for more info. Sponsored / Hosted by: United Career Fairs. City: Columbia. State: MD. Event Website: http://www.unitedcareerfairs.com. Tuesday, May 21, 2019, 6:00 PM. Sheraton Columbia Town Center Hotel 10207 Wincopin Circle Columbia, MD. Meet face to face with multiple decision makers hiring business development, sales and sales management professionals across many industries at companies ranging from small local businesses clear on up to Fortune 500 corporations. Our events are open to executive level experienced professionals as well as entry level and recent college graduates. This is your chance to meet and shake hands with hiring managers! Miami Career Fair May 21st, 2019 – 6pm Sharp Hilton Garden Inn 3550 NW 74th Ave. Miami, FL 33122 Job seekers: Register to attend by submitting your resume http://www.unitedcareerfairs.com Employers: Contact us at 847-428-1118 or go to http://www.unitedcareerfairs.com for more info. Sponsored / Hosted by: United Career Fairs. City: Miami. State: FL. Event Website: http://www.unitedcareerfairs.com. Tuesday, May 21, 2019, 6:00 PM. Hilton Garden Inn 3550 NW 74th Ave. Miami, FL. Meet face to face with multiple decision makers hiring business development, sales and sales management professionals across many industries at companies ranging from small local businesses clear on up to Fortune 500 corporations. Our events are open to executive level experienced professionals as well as entry level and recent college graduates. This is your chance to meet and shake hands with hiring managers! Milwaukee Career Fair May 21st, 2019 – 6pm Sharp Embassy Suites by Hilton Milwaukee Brookfield 1200 S. Moorland Rd. Brookfield, WI 53005 Job seekers: Register to attend by submitting your resume http://www.unitedcareerfairs.com Employers: Contact us at 847-428-1118 or go to http://www.unitedcareerfairs.com for more info. Sponsored / Hosted by: United Career Fairs. City: Brookfield. State: WI. Event Website: http://www.unitedcareerfairs.com. Tuesday, May 21, 2019, 6:00 PM. Embassy Suites by Hilton Milwaukee Brookfield 1200 S. Moorland Rd. Brookfield, WI. Meet face to face with multiple decision makers hiring business development, sales and sales management professionals across many industries at companies ranging from small local businesses clear on up to Fortune 500 corporations. Our events are open to executive level experienced professionals as well as entry level and recent college graduates. This is your chance to meet and shake hands with hiring managers! Portland Career Fair May 21st, 2019 – 6pm Sharp DoubleTree by Hilton Portland / Tigard 9575 S.W. Locust Street Tigard, OR 97223 Job seekers: Register to attend by submitting your resume http://www.unitedcareerfairs.com Employers: Contact us at 847-428-1118 or go to http://www.unitedcareerfairs.com for more info. Sponsored / Hosted by: United Career Fairs. City: Tigard. State: OR. Event Website: http://www.unitedcareerfairs.com. Tuesday, May 21, 2019, 6:00 PM. DoubleTree by Hilton Portland / Tigard 9575 S.W. Locust Street Tigard, OR. Join Us at Our Pharmacy Tech Virtual Career Fair Wednesday, May 22, 2019 from 11:00am to 1:00pm Connect from your smartphone, tablet, or computer to chat with recruiters and learn more about our exciting career opportunities! Sponsored / Hosted by: UnitedHealth Group. City: Online. State: Online. Event Website: https://app.brazenconnect.com/events/XYQl1?utm_medium=email&utm_source=tas&utm_content=blast&utm_campaign=outreach. Wednesday, May 22, 2019. Virtual for Farmingdale NY. Join Us at Our Pharmacy Tech Virtual Career Fair Wednesday, May 22, 2019 from 11:00am to 1:00pm Connect from your smartphone, tablet, or computer to chat with recruiters and learn more about our exciting career opportunities! Sponsored / Hosted by: UnitedHealth Group. City: Farmingdale. State: NY. Event Website: https://app.brazenconnect.com/events/XYQl1?utm_medium=email&utm_source=tas&utm_content=blast&utm_campaign=outreach. Wednesday, May 22, 2019. Virtual for Farmingdale NY. ATTN: Job Seekers! 100s of Jobs are up for grabs at the Cincinnati/West Chester Job Fair on May 22nd! Meet one-on-one with recruiters & hiring managers who are now hiring for immediate openings! Available positions range from entry level to management, in multiple industries. Get in before these positions fill up! When you attend a JobNewsUSA.com Job Fair you will have the opportunity to: • Build your professional network. • Learn about upcoming job opportunities that haven’t been advertised yet. • Possibly walk away with a job! Some employers offer on-the-spot interviews and job offers. Pre-register now to attend! We’ll send you a reminder email one day prior to the hiring event. Tips for Job Fair Success: • Prepare your elevator speech. • Dress professionally, as if attending a job interview. • Display an engaging & motivated attitude to make a positive impression. • Bring several copies of your updated resume or work history to the event. Parking and Admission are FREE! Interested in… Sponsored / Hosted by: Job News USA. City: West Chester Township. State: OH. 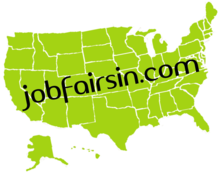 Event Website: https://jobfairsnearme.com/job_fairs/05-slash-22-slash-2019-jobnewsusa-dot-com-cincinnati-slash-west-chester-job-fair-may-22nd-may-22-2019?utm_source=jobfairsin&utm_medium=organic&utm_term=&utm_content=&utm_campaign=CIN190522. Event Location: Centre Park of West Chester - West Chester #5800 Muhlhauser Rd. Wednesday, May 22, 2019, 10:00 AM. Join Us for Our Job Fair Wednesday, May 22, 2019 from 10:00am to 6:00pm UnitedHealth Group Office 3723 Fairview Industrial Drive SE Suite 270 Salem, OR 97302. Sponsored / Hosted by: UnitedHealth Group. City: Salem. State: OR. Event Website: https://uhg.hr/SalemCareers. Wednesday, May 22, 2019, 10:00 AM. UnitedHealth Group 3723 Fairview Industrial Drive SE, Suite 270 Salem or. Sponsored / Hosted by: Choice Career Fairs. City: Austin. State: TX. Event Website: https://choicecareerfairs.com/e/austin-career-fair-may-22-2019. Notes: What to expect... You'll meet face-to-face with hiring decision-makers from some of the areas top employers. Dress professionally and bring plenty of resumes, because they're here to hire. Walk in and start interviewing, it's that simple. Save time, money and effort interviewing with multiple companies in one day at one location. Many of these companies have several openings and are eager to meet with you. You're no longer just a piece of paper. Attend the career fair and get infront of decision makers.… Wednesday, May 22, 2019, 11:00 AM – 2:00 PM. Norris Conference Center 2525 W Anderson Ln Austin, TX 78757. Are you in the market for a job or a new career? Have you been sending resumes to employers and wonder why they have not got back to you? The key is being able to get in front of the right person who is hiring. At our job fair, you will meet hiring managers from the top companies in this region. Put on your best attire and dress to impress the companies that may be your next employer. At our job fair, you will be able to interview with multiple companies all in the same location on the same day, giving you a greater opportunity to get hired. Attending our career fairs will save you a lot of time and energy it takes to find a job. Preparation is key, update your resume and bring multiple copies to this hiring event. Employers send hiring decision makers to our job fairs to interview the area’s top candidates. Register today to make sure you are one of the candidates they looking to hire. Sponsored / Hosted by: Best Hire Career Fairs. City: Fort Worth. State: TX. Event Website: https://www.besthirecareerfairs.com/event-schedule/fort-worth-job-fair/edate/2019-05-22. Event Location: Holiday Inn - Ft Worth # 4635 Gemini Pl. Wednesday, May 22, 2019, 11:00 AM – 2:00 PM. Are you in the market for a job or a new career? Have you been sending resumes to employers and wonder why they have not got back to you? The key is being able to get in front of the right person who is hiring. At our job fair, you will meet hiring managers from the top companies in this region. Put on your best attire and dress to impress the companies that may be your next employer. At our job fair, you will be able to interview with multiple companies all in the same location on the same day, giving you a greater opportunity to get hired. Attending our career fairs will save you a lot of time and energy it takes to find a job. Preparation is key, update your resume and bring multiple copies to this hiring event. Employers send hiring decision makers to our job fairs to interview the area’s top candidates. Register today to make sure you are one of the candidates they looking to hire. Sponsored / Hosted by: Best Hire Career Fairs. City: Las Vegas. State: NV. Event Website: https://www.besthirecareerfairs.com/event-schedule/las-vegas-job-fair/edate/2019-05-22. Wednesday, May 22, 2019, 11:00 AM – 2:00 PM. Palms Casino Resort 4321 W Flamingo Rd, Las Vegas, NV 89103. Meet face to face with multiple decision makers hiring business development, sales and sales management professionals across many industries at companies ranging from small local businesses clear on up to Fortune 500 corporations. Our events are open to executive level experienced professionals as well as entry level and recent college graduates. This is your chance to meet and shake hands with hiring managers! Dallas Career Fair May 22nd, 2019 – 6pm Sharp Hilton Garden Inn 7516 Las Colinas Blvd. Irving, TX 75063 Job seekers: Register to attend by submitting your resume http://www.unitedcareerfairs.com Employers: Contact us at 847-428-1118 or go to http://www.unitedcareerfairs.com for more info. Sponsored / Hosted by: United Career Fairs. City: Irving. State: TX. Event Website: http://www.unitedcareerfairs.com. Wednesday, May 22, 2019, 6:00 PM. Hilton Garden Inn 7516 Las Colinas Blvd. Irving, TX. Meet face to face with multiple decision makers hiring business development, sales and sales management professionals across many industries at companies ranging from small local businesses clear on up to Fortune 500 corporations. Our events are open to executive level experienced professionals as well as entry level and recent college graduates. This is your chance to meet and shake hands with hiring managers! Ft. Lauderdale Career Fair May 22nd, 2019 – 6pm Sharp Sheraton Suites Cypress Creek 555 NW 62nd Street Fort Lauderdale, FL 33309 Job seekers: Register to attend by submitting your resume http://www.unitedcareerfairs.com Employers: Contact us at 847-428-1118 or go to http://www.unitedcareerfairs.com for more info. Sponsored / Hosted by: United Career Fairs. City: Ft. Lauderdale. State: FL. Event Website: http://www.unitedcareerfairs.com. Wednesday, May 22, 2019, 6:00 PM. Sheraton Suites Cypress Creek 555 NW 62nd Street Ft. Lauderdale, FL. Meet face to face with multiple decision makers hiring business development, sales and sales management professionals across many industries at companies ranging from small local businesses clear on up to Fortune 500 corporations. Our events are open to executive level experienced professionals as well as entry level and recent college graduates. This is your chance to meet and shake hands with hiring managers! Northern VA / Washington DC Career Fair May 22nd, 2019 – 6pm Sharp Sheraton Reston 11810 Sunrise Valley Dr. Reston, VA 20191 Job seekers: Register to attend by submitting your resume http://www.unitedcareerfairs.com Employers: Contact us at 847-428-1118 or go to http://www.unitedcareerfairs.com for more info. Sponsored / Hosted by: United Career Fairs. City: Reston. State: VA. Event Website: http://www.unitedcareerfairs.com. Wednesday, May 22, 2019, 6:00 PM. Sheraton Reston 11810 Sunrise Valley Dr. Reston, VA.
Meet face to face with multiple decision makers hiring business development, sales and sales management professionals across many industries at companies ranging from small local businesses clear on up to Fortune 500 corporations. Our events are open to executive level experienced professionals as well as entry level and recent college graduates. This is your chance to meet and shake hands with hiring managers! San Jose Career Fair May 22nd, 2019 - 6pm Sharp Sheraton San Jose 1801 Barber Lane Milpitas, CA 95035 Job seekers: Register to attend by submitting your resume http://www.unitedcareerfairs.com Employers: Contact us at 847-428-1118 or go to http://www.unitedcareerfairs.com for more info. Sponsored / Hosted by: United Career Fairs. City: Milpitas. State: CA. Event Website: http://www.unitedcareerfairs.com. Wednesday, May 22, 2019, 6:00 PM. Sheraton San Jose 1801 Barber Lane Milpitas, CA. RecruitMilitary has held 25 events in Cincinnati, drawing 7,587 attendees and 1,435 exhibitors. Sponsored / Hosted by: RecruitMilitary. City: Cincinnati. State: OH. Event Website: https://events.recruitmilitary.com/events/1167. Thursday, May 23, 2019. Paul Brown Stadium One Paul Brown Stadium Cincinnati, OH 45202. RecruitMilitary has held 3 events in Pensacola, FL, drawing 722 attendees and 92 exhibitors. Sponsored / Hosted by: RecruitMilitary. City: Fort Walton Beach. State: FL. Event Website: https://events.recruitmilitary.com/events/1164. Thursday, May 23, 2019. Emerald Coast Convention Center 1250 Miracle Strip Parkway SE Fort Walton Beach, FL 32548. JobsNow.org is an exciting new initiative powered by INCIGHT. For more than a decade, INCIGHT has hosted many successful job fairs that average 300 candidates in attendance. In recent years, turnout has reached 500 or more. As we grow, it seems appropriate that we brand an initiative dedicated solely to the mission of helping employers find valuable recruits to join their team. Since 2004, INCIGHT has successfully assisted people in their search for sustainable employment. INCIGHT promotes inclusion in the workplace and partners with businesses and the community to connect skilled and talented candidates with employers that are interested in diversifying their workforce. JobsNow.org and INCIGHT offer high-energy employment programs that achieve exceptional results for candidates and employers. Joblessness and long-term unemployment is detrimental to the individual, the family and society. A job provides a person with hope, purpose and resources. Our programs instill empowerment and expectation that helps pe… Sponsored / Hosted by: JobsNow.org. City: San Bernardino, 92404. State: CA. Event Website: https://www.jobsnow.org/job-seekers-ca. Thursday, May 23, 2019, 10:00 AM. Sandals Church 3701 N Sierra Way San Bernardino, 92404, CA. Sponsored / Hosted by: Choice Career Fairs. City: Columbus. State: OH. Event Website: https://choicecareerfairs.com/e/columbus-career-fair-may-23-2019. Notes: What to expect... You'll meet face-to-face with hiring decision-makers from some of the areas top employers. Dress professionally and bring plenty of resumes, because they're here to hire. Walk in and start interviewing, it's that simple. Save time, money and effort interviewing with multiple companies in one day at one location. Many of these companies have several openings and are eager to meet with you. You're no longer just a piece of paper. Attend the career fair and get infront of decision makers.… Thursday, May 23, 2019, 11:00 AM – 2:00 PM. Crowne Plaza Columbus North - Worthington 6500 Doubletree Avenue Columbus, OH 43229. What to expect... You'll meet face-to-face with hiring decision-makers from some of the areas top employers. Dress professionally and bring plenty of resumes, because they're here to hire. Walk in and start interviewing, it's that simple. Save time, money and effort interviewing with multiple companies in one day at one location. Many of these companies have several openings and are eager to meet with you. You're no longer just a piece of paper. Attend the career fair and get infront of decision makers. What are you waiting for?... Let us know you're coming and register today. Sponsored / Hosted by: Lasvegasjobs.com and Choice Career Fairs. City: N. Las Vegas. State: NV. Event Website: https://choicecareerfairs.com/e/las-vegas-career-fair-may-23-2019. Event Location: Texas Station Casino - Las Vegas #2101 Texas Star Ln. Thursday, May 23, 2019, 11:00 AM. Sponsored / Hosted by: Choice Career Fairs and Lasvegasjobs.com. City: Las Vegas. State: NV. Event Website: https://choicecareerfairs.com/e/las-vegas-career-fair-may-23-2019. Notes: What to expect... You'll meet face-to-face with hiring decision-makers from some of the areas top employers. Dress professionally and bring plenty of resumes, because they're here to hire. Walk in and start interviewing, it's that simple. Save time, money and effort interviewing with multiple companies in one day at one location. Many of these companies have several openings and are eager to meet with you. You're no longer just a piece of paper. Attend the career fair and get infront of decision makers.… Thursday, May 23, 2019, 11:00 AM – 2:00 PM. Sunset Station Hotel & Casino 1301 West Sunset Road Las Vegas, NV 89014. Sponsored / Hosted by: Choice Career Fairs and Lasvegasjobs.com. City: Las Vegas. State: NV. Event Website: https://choicecareerfairs.com/e/las-vegas-career-fair-may-23-2019. Notes: What to expect... You'll meet face-to-face with hiring decision-makers from some of the areas top employers. Dress professionally and bring plenty of resumes, because they're here to hire. Walk in and start interviewing, it's that simple. Save time, money and effort interviewing with multiple companies in one day at one location. Many of these companies have several openings and are eager to meet with you. You're no longer just a piece of paper. Attend the career fair and get infront of decision makers.… Thursday, May 23, 2019, 11:00 AM – 2:00 PM. Sunset Station Hotel & Casino 1301 West Sunset Road, Las Vegas, NV 89014. Sponsored / Hosted by: Choice Career Fairs. City: Mesa. State: AZ. Event Website: https://choicecareerfairs.com/e/phoenix-career-fair-may-23-2019. Notes: What to expect... You'll meet face-to-face with hiring decision-makers from some of the areas top employers. Dress professionally and bring plenty of resumes, because they're here to hire. Walk in and start interviewing, it's that simple. Save time, money and effort interviewing with multiple companies in one day at one location. Many of these companies have several openings and are eager to meet with you. You're no longer just a piece of paper. Attend the career fair and get infront of decision makers.… Thursday, May 23, 2019, 11:00 AM – 2:00 PM. Mesa Convention Center - Building A Superstition Ballroom 263 N Center Street Mesa, AZ 85201. Are you in the market for a job or a new career? Have you been sending resumes to employers and wonder why they have not got back to you? The key is being able to get in front of the right person who is hiring. At our job fair, you will meet hiring managers from the top companies in this region. Put on your best attire and dress to impress the companies that may be your next employer. At our job fair, you will be able to interview with multiple companies all in the same location on the same day, giving you a greater opportunity to get hired. Attending our career fairs will save you a lot of time and energy it takes to find a job. Preparation is key, update your resume and bring multiple copies to this hiring event. Employers send hiring decision makers to our job fairs to interview the area’s top candidates. Register today to make sure you are one of the candidates they looking to hire. Sponsored / Hosted by: Best Hire Career Fairs. City: Sacramento. State: CA. Event Website: https://www.besthirecareerfairs.com/job-fairs/sacramento-job-fairs/. Thursday, May 23, 2019, 11:00 AM. DoubleTree by Hilton Sacramento 2001 Point West Way Sacramento CA. DocCafe.com - the premier career management tool for physicians and physician assistants - is hosting an online career fair on May 29, 2019, from 6 - 9 pm EST Click the link to register! Once you register, you're all set. Simply log in during the event to explore exhibitor booths and chat with recruiters and employers about their job opportunities! Our career fair will focus on the following specialties for Physicians and Physician Assistants: • Psychiatric/Mental Health Interested in Exhibiting? Questions? Contact us at (574) 453-3131 or via email at careerfairs@doccafe.com. City: Virtual. State: Online. Event Website: https://app.brazenconnect.com/events/aZlNr?utm_medium=website&utm_source=jobfairsin. Event Location: United States, US. Wednesday, May 29, 2019. RecruitMilitary has held 26 events in Los Angeles, drawing 6,485 attendees and 1,039 exhibitors. Sponsored / Hosted by: RecruitMilitary. City: Long Beach. State: CA. Event Website: https://events.recruitmilitary.com/events/1169. Thursday, May 30, 2019. Long Beach Convention and Entertainment Center 300 E. Ocean Boulevard Long Beach, CA 90802. NursingJobCafe.com - the premier career management tool for nursing professionals - is hosting an online career fair on May 30, 2019, from 6 - 9 pm EST. Click the link to register! Once you register, you're all set. Simply log in during the event to explore exhibitor booths and chat with recruiters and employers about their job opportunities! Our career fair will focus on the following specialties for Nurse Practitioners, Advanced Practice Nurses and RNs: • Psychiatric/Mental Health Interested in Exhibiting? Questions? Contact us today at (715) 803-6360 or via email at careerfairs@nursingjobcafe.com. City: Virtual. State: Online. Event Website: https://app.brazenconnect.com/events/G9dnZ?utm_medium=website&utm_source=jobfairsin. Event Location: United States, US. Thursday, May 30, 2019. RecruitMilitary has held 21 events in San Antonio, drawing 10,517 attendees and 1,228 exhibitors. Sponsored / Hosted by: RecruitMilitary. City: San Antonio. State: TX. Event Website: https://events.recruitmilitary.com/events/1170. Thursday, May 30, 2019. San Antonio Shrine Auditorium 901 N. Loop 1604 W San Antonio, TX 78232. The Veterans’ Expo & Job Fair is intended for active military and veterans of all ages, men and women, from all branches of service and their families. Sponsored / Hosted by: On-Line Publishers, Inc. City: Wyomissing. State: PA. Event Website: http://veteransexpo.com/. Event Location: Crowne Plaza - Reading #1741 Papermill Rd. Thursday, May 30, 2019, 9:00 AM. Meet dozens of military-friendly employers face-to-face at one of the most professional career events in Virginia. Sponsored by Corporate Gray, which has a reputation for getting the best companies and the best candidates together for an efficient and effective experience, this event is especially for transitioning and former/retired military members and military spouses. Open to all branches (Army, Navy, Air Force, Marine Corps, Coast Guard), all ranks (Enlisted Personnel and Officers), and all occupational specialties. Free and open to all candidates. Participating Organizations: Our Military-Friendly Job Fairs typically include dozens of employers – Defense Contractors, Large Fortune 500 firms, Small Businesses, Non-Profits, and Federal, State, and Local Government Agencies. Participants continue to register until the week of the job fair, so check the website for updates: http://corporategray.com/jobfairs/407 One hour career-related presentations will take place at 8 a.m. and Job Fair booths will be o… Sponsored / Hosted by: Corporate Gray. City: Virginia Beach. State: VA. Event Website: http://corporategray.com/jobfairs/407. Thursday, May 30, 2019, 9:00 AM – 12:00 PM. Virginia Beach Convention Center 1000 19th Street Virginia Beach VA 23451. JobsNow.org is an exciting new initiative powered by INCIGHT. For more than a decade, INCIGHT has hosted many successful job fairs that average 300 candidates in attendance. In recent years, turnout has reached 500 or more. As we grow, it seems appropriate that we brand an initiative dedicated solely to the mission of helping employers find valuable recruits to join their team. Since 2004, INCIGHT has successfully assisted people in their search for sustainable employment. INCIGHT promotes inclusion in the workplace and partners with businesses and the community to connect skilled and talented candidates with employers that are interested in diversifying their workforce. JobsNow.org and INCIGHT offer high-energy employment programs that achieve exceptional results for candidates and employers. Joblessness and long-term unemployment is detrimental to the individual, the family and society. A job provides a person with hope, purpose and resources. Our programs instill empowerment and expectation that helps pe… Sponsored / Hosted by: JobsNow.org. City: Victorville, 92395. State: CA. Event Website: https://www.jobsnow.org/job-seekers-ca. Thursday, May 30, 2019, 10:00 AM. 7th Day Adventist Church 16070 Lorene Dr Victorville, 92395, CA. Sponsored / Hosted by: Choice Career Fairs. City: Dallas. State: TX. Event Website: https://choicecareerfairs.com/e/dallas-career-fair-may-30-2019. Notes: What to expect... You'll meet face-to-face with hiring decision-makers from some of the areas top employers. Dress professionally and bring plenty of resumes, because they're here to hire. Walk in and start interviewing, it's that simple. Save time, money and effort interviewing with multiple companies in one day at one location. Many of these companies have several openings and are eager to meet with you. You're no longer just a piece of paper. Attend the career fair and get infront of decision makers.… Thursday, May 30, 2019, 11:00 AM – 2:00 PM. Doubletree Hotel 2015 Market Center Blvd Dallas, TX 75207. The Golden Strip Job Fair is a collaborative effort between the Center for Community Services, Fountain Inn Chamber of Commerce, and the Simpsonville Area Chamber of Commerce to bring job seekers and local employers together. The Job Fair will take place on Thursday, May 30th from 2:00pm until 6:00pm at the Fountain Inn Activity Center located at 610 Fairview Street. City: Fountain Inn. State: SC. Event Website: https://members.simpsonvillechamber.com/events/details/golden-strip-job-fair-55038. Thursday, May 30, 2019, 2:00 PM – 6:00 PM. Fountain Inn Acrtivity Center 610 Fairview Street Fountain Inn, SC 29644. Companies Attending CenturyLink Diversified Technical Services, Inc SOSi US Army Cyber Command If you do not have a security clearance, please pre-register on our companion site CyberSecJobs.com. Cyber security education or experience is required for admittance. A security clearance is not required. National Cyber Summit The Cyber Job Fair is held in conjunction with the National Cyber Summit, June 4-6. Note that conference registration is separate from Cyber Job Fair registration. Resume Reviews (11:00 am to 3:00 pm) These are quick 5-minute sessions. Offered on a first-come, first-serve basis. Tips for a Successful Job Fair Be sure to register and upload your resume before the job fair. Recruiters receive a pre-registrant resume file before the job fair and may contact you to set up an interview. Don't be discouraged if you don't hear from an employer before the event, as not all employers will have time to review resumes beforehand. A job fair is a networking event filled with hundreds of people… City: Huntsville. State: AL. Event Website: https://clearedjobs.net/job-fair/fair/96. Wednesday, June 5, 2019. - Von Braun Center South Hall 700 Monroe St SW Huntsville, Alabama. RecruitMilitary has held 7 events in Colorado Springs, drawing 2,123 attendees and 307 exhibitors. Sponsored / Hosted by: RecruitMilitary. City: Colorado Springs. State: CO. Event Website: https://events.recruitmilitary.com/events/1172. Thursday, June 6, 2019. Broadmoor World Arena 3185 Venetucci Blvd Colorado Springs, CO 80906. RecruitMilitary has held 27 events in New York, drawing 9,177 attendees and 1,536 exhibitors. Sponsored / Hosted by: RecruitMilitary. City: New York. State: NY. Event Website: https://events.recruitmilitary.com/events/1173. Thursday, June 6, 2019. Metropolitan Pavilion 125 West 18th Street New York, NY 10011. Camouflage to Corporate coming to Las Vegas and brought to you by Forward March Inc. and The Cosmopolitan of Las Vegas. Drive your business forward in 2019 at the Camouflage to Corporate Conference being held in Las Vegas, Thursday, June 6th, 2019 at The Cosmopolitan of Las Vegas. Learn a tactical and practical approach to Attract, Hire and Retain top military and Veteran talent. Keynote speaker will be Lori Calderon the Director, Talent Acquisition for The Cosmopolitan of Las Vegas. This one-day dynamic workshop is specifically geared for human resource professionals and business owners. Gain insights to growing a winning Veteran team. Learn the how to’s to reading Veterans resumes, interviewing, hiring and retaining military veteran talent. This workshop is designed to provide the essentials and tools to succeed in developing your military hiring strategy and make finding and hiring Veterans easy. The workshop will be from 9:00 am to 1:00 pm with limited seating. Free for human resource professiona… Sponsored / Hosted by: Forward March Inc. City: Las Vegas. State: NV. Event Website: http://forwardmarchinc.com/events/?utm_source=jobfairsin.com. Thursday, June 6, 2019, 9:00 AM. The Cosmopolitan of Las Vegas 3708 S Las Vegas Blvd Las Vegas NV. Are you in the market for a job or a new career? Have you been sending resumes to employers and wonder why they have not got back to you? The key is being able to get in front of the right person who is hiring. At our job fair, you will meet hiring managers from the top companies in this region. Put on your best attire and dress to impress the companies that may be your next employer. At our job fair, you will be able to interview with multiple companies all in the same location on the same day, giving you a greater opportunity to get hired. Attending our career fairs will save you a lot of time and energy it takes to find a job. Preparation is key, update your resume and bring multiple copies to this hiring event. Employers send hiring decision makers to our job fairs to interview the area’s top candidates. Register today to make sure you are one of the candidates they looking to hire. Sponsored / Hosted by: Best Hire Career Fairs. City: Dallas. State: TX. Event Website: https://www.besthirecareerfairs.com/event-schedule/dallas-job-fair/edate/2019-06-06. Thursday, June 6, 2019, 11:00 AM – 2:00 PM. DoubleTree by Hilton Hotel Dallas Market Center 2015 Market Center Blvd. Dallas, TX 75207. Sponsored / Hosted by: Choice Career Fairs. City: Houston. State: TX. Event Website: https://choicecareerfairs.com/e/houston-career-fair-june-6-2019. Notes: What to expect... You'll meet face-to-face with hiring decision-makers from some of the areas top employers. Dress professionally and bring plenty of resumes, because they're here to hire. Walk in and start interviewing, it's that simple. Save time, money and effort interviewing with multiple companies in one day at one location. Many of these companies have several openings and are eager to meet with you. You're no longer just a piece of paper. Attend the career fair and get infront of decision makers.… Thursday, June 6, 2019, 11:00 AM – 2:00 PM. Crowne Plaza Houston - River Oaks 2712 Southwest Fwy Houston, TX 77098. Are you in the market for a job or a new career? Have you been sending resumes to employers and wonder why they have not got back to you? The key is being able to get in front of the right person who is hiring. At our job fair, you will meet hiring managers from the top companies in this region. Put on your best attire and dress to impress the companies that may be your next employer. At our job fair, you will be able to interview with multiple companies all in the same location on the same day, giving you a greater opportunity to get hired. Attending our career fairs will save you a lot of time and energy it takes to find a job. Preparation is key, update your resume and bring multiple copies to this hiring event. Employers send hiring decision makers to our job fairs to interview the area’s top candidates. Register today to make sure you are one of the candidates they looking to hire. Sponsored / Hosted by: Best Hire Career Fairs. City: Indianapolis. State: IN. Event Website: https://www.besthirecareerfairs.com/event-schedule/indianapolis-job-fair/edate/2019-06-06. Thursday, June 6, 2019, 11:00 AM – 2:00 PM. Indianapolis Marriott East 7202 East 21st Street Indianapolis, IN 46219. Sponsored / Hosted by: Choice Career Fairs. City: Ontario. State: CA. Event Website: https://choicecareerfairs.com/e/inland-empire-career-fair-june-6-2019. Notes: What to expect... You'll meet face-to-face with hiring decision-makers from some of the areas top employers. Dress professionally and bring plenty of resumes, because they're here to hire. Walk in and start interviewing, it's that simple. Save time, money and effort interviewing with multiple companies in one day at one location. Many of these companies have several openings and are eager to meet with you. You're no longer just a piece of paper. Attend the career fair and get infront of decision makers.… Thursday, June 6, 2019, 11:00 AM – 2:00 PM. Doubletree Hotel 222 North Vineyard Avenue Ontario, CA 91764. Sponsored / Hosted by: Choice Career Fairs. City: San Antonio. State: TX. Event Website: https://choicecareerfairs.com/e/san-antonio-career-fair-june-6-2019. Notes: What to expect... You'll meet face-to-face with hiring decision-makers from some of the areas top employers. Dress professionally and bring plenty of resumes, because they're here to hire. Walk in and start interviewing, it's that simple. Save time, money and effort interviewing with multiple companies in one day at one location. Many of these companies have several openings and are eager to meet with you. You're no longer just a piece of paper. Attend the career fair and get infront of decision makers.… Thursday, June 6, 2019, 11:00 AM – 2:00 PM. Norris Conference Center 618 NW Loop 410 #207 Park North Shopping Center San Antonio, TX 78216. Are you in the market for a job or a new career? Have you been sending resumes to employers and wonder why they have not got back to you? The key is being able to get in front of the right person who is hiring. At our job fair, you will meet hiring managers from the top companies in this region. Put on your best attire and dress to impress the companies that may be your next employer. At our job fair, you will be able to interview with multiple companies all in the same location on the same day, giving you a greater opportunity to get hired. Attending our career fairs will save you a lot of time and energy it takes to find a job. Preparation is key, update your resume and bring multiple copies to this hiring event. Employers send hiring decision makers to our job fairs to interview the area’s top candidates. Register today to make sure you are one of the candidates they looking to hire. Sponsored / Hosted by: Best Hire Career Fairs. City: Seattle. State: WA. Event Website: https://www.besthirecareerfairs.com/event-schedule/seattle-job-fair/edate/2019-06-06. Thursday, June 6, 2019, 11:00 AM – 2:00 PM. Holiday Inn Seattle Downtown 211 Dexter Avenue North Seattle, WA 98109. DocCafe.com - the premier career management tool for physicians and physician assistants - is hosting an online career fair on June 10, 2019, from 6 - 9 pm EST. Click the link to register! Once you register, you're all set. Simply log in during the event to explore exhibitor booths and chat with recruiters and employers about their job opportunities! Our career fair will focus on the following specialties for Physicians and Physician Assistants: • Family Practice • Primary Care • Internal Medicine • Hospitalists Interested in Exhibiting? Questions? Contact us at (574) 453-3131 or via email at careerfairs@doccafe.com. City: Virtual. State: Online. Event Website: https://app.brazenconnect.com/events/48d68?utm_medium=website&utm_source=jobfairsin. Event Location: United States, US. Monday, June 10, 2019. Connect direct with employers from anywhere. Often fast turn-around time from interview to hiring. Fast & easy way to learn about jobs open NOW and education options for veterans. Sponsored / Hosted by: RecruitMilitary. City: Virtual. State: Online. Event Website: https://events.recruitmilitary.com/events/1251. Tuesday, June 11, 2019. RecruitMilitary has held 35 events in Raleigh, drawing 10,660 attendees and 1,304 exhibitors. Sponsored / Hosted by: RecruitMilitary. City: Fort Bragg. State: NC. Event Website: https://events.recruitmilitary.com/events/1175. Wednesday, June 12, 2019. Bragg Conference & Catering (formerly Iron Mike) 2658 Reilly Road Fort Bragg, NC 28310. Join Us for Our Job Fair Wednesday, June 12, 2019 from 10:00am to 6:00pm UnitedHealth Group Office 6200 Northwest Pkwy San Antonio, TX 78249. City: San Antonio. State: TX. Event Website: http://tinyurl.com/y32w8sfp. Wednesday, June 12, 2019, 10:00 AM. UnitedHealth Group Office 6200 Northwest Pkwy San Antonio TX. Are you in the market for a job or a new career? Have you been sending resumes to employers and wonder why they have not got back to you? The key is being able to get in front of the right person who is hiring. At our job fair, you will meet hiring managers from the top companies in this region. Put on your best attire and dress to impress the companies that may be your next employer. At our job fair, you will be able to interview with multiple companies all in the same location on the same day, giving you a greater opportunity to get hired. Attending our career fairs will save you a lot of time and energy it takes to find a job. Preparation is key, update your resume and bring multiple copies to this hiring event. Employers send hiring decision makers to our job fairs to interview the area’s top candidates. Register today to make sure you are one of the candidates they looking to hire. Sponsored / Hosted by: Best Hire Career Fairs. City: Richmond. State: VA. Event Website: https://www.besthirecareerfairs.com/event-schedule/richmond-job-fair/edate/2019-06-12. Event Location: Omni Hotel - Richmond #100 S 12th St. Wednesday, June 12, 2019, 11:00 AM – 2:00 PM. RecruitMilitary has held 35 events in Raleigh, drawing 10,660 attendees and 1,304 exhibitors. Sponsored / Hosted by: RecruitMilitary. City: Fort Bragg. State: NC. Event Website: https://events.recruitmilitary.com/events/1176. Thursday, June 13, 2019. Bragg Conference & Catering (formerly Iron Mike) 2658 Reilly Road Fort Bragg, NC 28310. Sponsored / Hosted by: Choice Career Fairs. City: Towson. State: MD. Event Website: https://choicecareerfairs.com/e/baltimore-career-fair-june-13-2019. Notes: What to expect... You'll meet face-to-face with hiring decision-makers from some of the areas top employers. Dress professionally and bring plenty of resumes, because they're here to hire. Walk in and start interviewing, it's that simple. Save time, money and effort interviewing with multiple companies in one day at one location. Many of these companies have several openings and are eager to meet with you. You're no longer just a piece of paper. Attend the career fair and get infront of decision makers.… Thursday, June 13, 2019, 11:00 AM – 2:00 PM. Sheraton Baltimore North 903 Dulaney Valley Rd Towson, MD 21204. Are you in the market for a job or a new career? Have you been sending resumes to employers and wonder why they have not got back to you? The key is being able to get in front of the right person who is hiring. At our job fair, you will meet hiring managers from the top companies in this region. Put on your best attire and dress to impress the companies that may be your next employer. At our job fair, you will be able to interview with multiple companies all in the same location on the same day, giving you a greater opportunity to get hired. Attending our career fairs will save you a lot of time and energy it takes to find a job. Preparation is key, update your resume and bring multiple copies to this hiring event. Employers send hiring decision makers to our job fairs to interview the area’s top candidates. Register today to make sure you are one of the candidates they looking to hire. Sponsored / Hosted by: Best Hire Career Fairs. City: Ontario. State: CA. Event Website: https://www.besthirecareerfairs.com/job-fairs/inland-empire-job-fairs/. Thursday, June 13, 2019, 11:00 AM. Embassy Suites Ontario Airport 3663 East Guasti Road Ontario CA. Sponsored / Hosted by: Choice Career Fairs. City: Melville. State: NY. Event Website: https://choicecareerfairs.com/e/long-island-career-fair-june-13-2019. Notes: What to expect... You'll meet face-to-face with hiring decision-makers from some of the areas top employers. Dress professionally and bring plenty of resumes, because they're here to hire. Walk in and start interviewing, it's that simple. Save time, money and effort interviewing with multiple companies in one day at one location. Many of these companies have several openings and are eager to meet with you. You're no longer just a piece of paper. Attend the career fair and get infront of decision makers.… Thursday, June 13, 2019, 11:00 AM – 2:00 PM. Melville Marriott 1350 Walt Whitman Rd Melville, NY 11747. Sponsored / Hosted by: Choice Career Fairs. City: Los Angeles. State: CA. Event Website: https://choicecareerfairs.com/e/los-angeles-career-fair-june-13-2019. Notes: What to expect... You'll meet face-to-face with hiring decision-makers from some of the areas top employers. Dress professionally and bring plenty of resumes, because they're here to hire. Walk in and start interviewing, it's that simple. Save time, money and effort interviewing with multiple companies in one day at one location. Many of these companies have several openings and are eager to meet with you. You're no longer just a piece of paper. Attend the career fair and get infront of decision makers.… Thursday, June 13, 2019, 11:00 AM – 2:00 PM. Crowne Plaza Los Angeles International Airport 5985 W Century Boulevard Los Angeles, CA 90045.